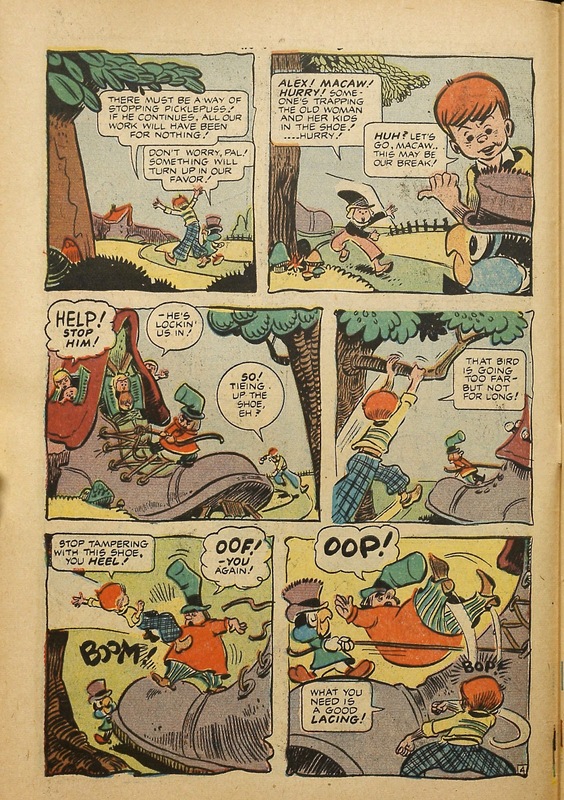 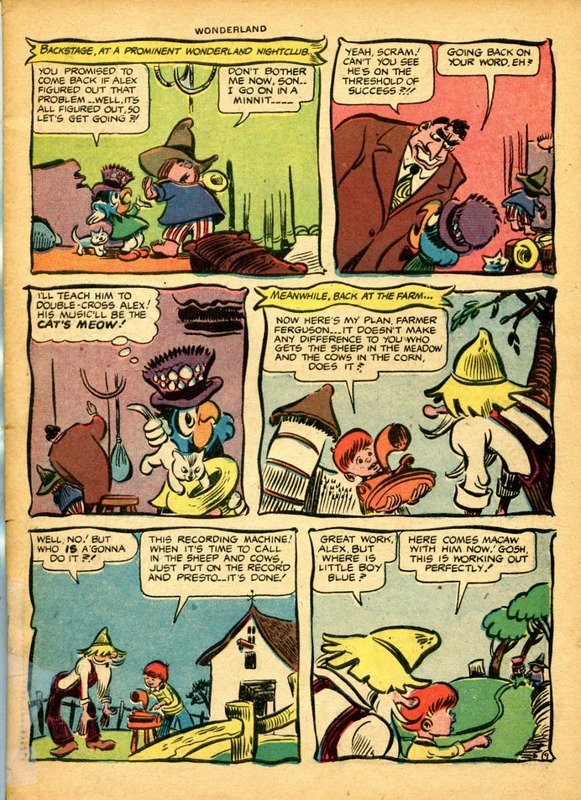 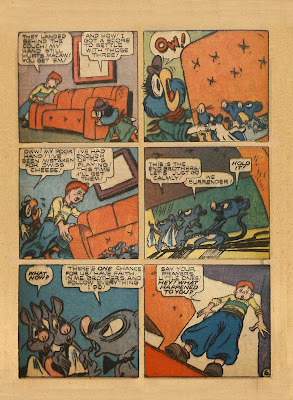 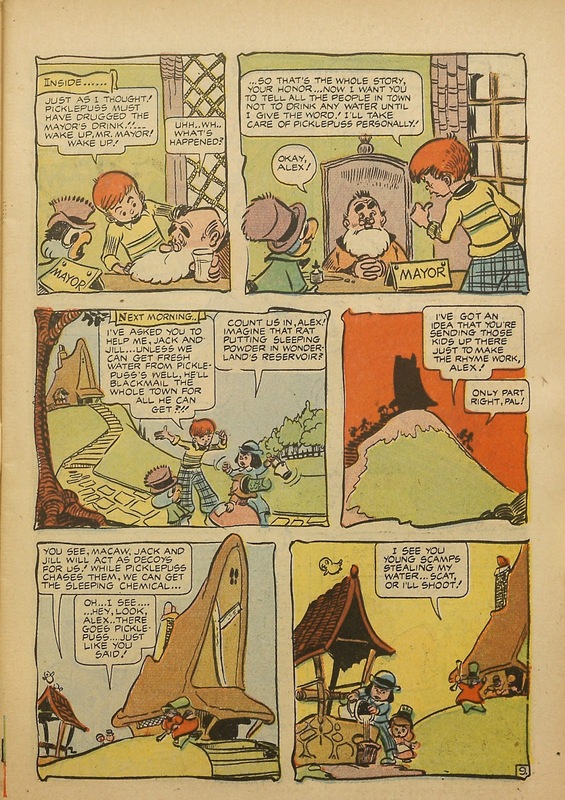 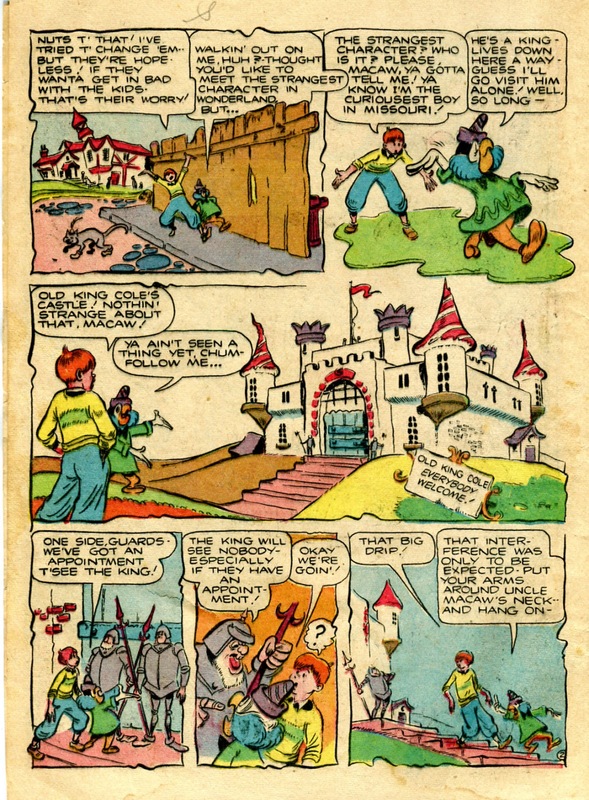 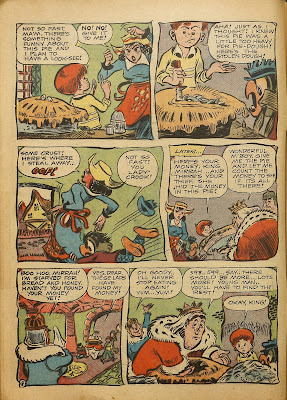 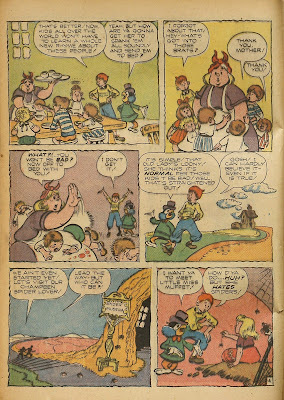 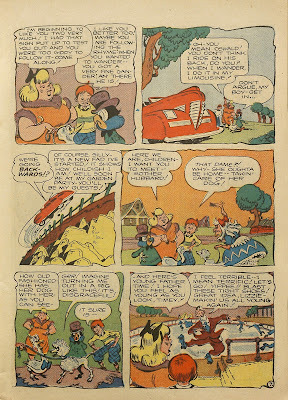 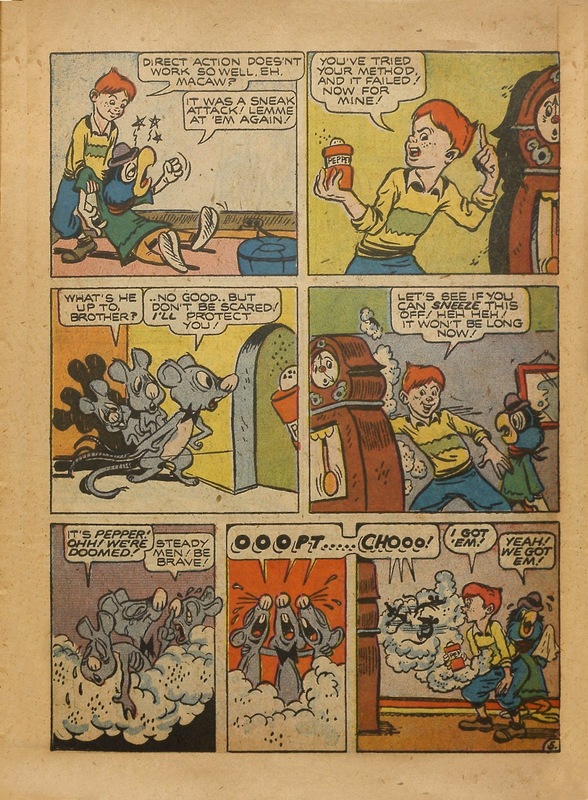 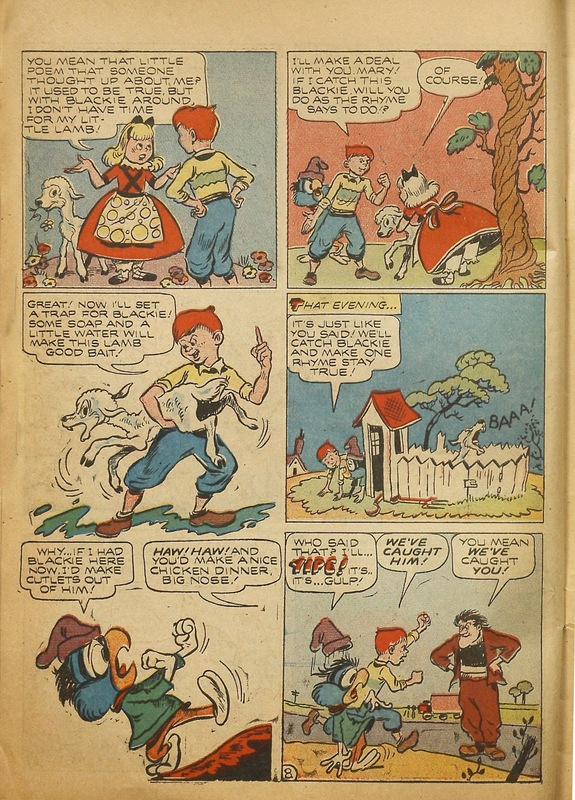 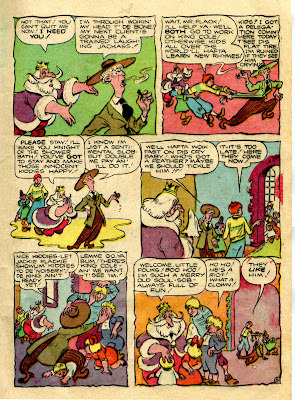 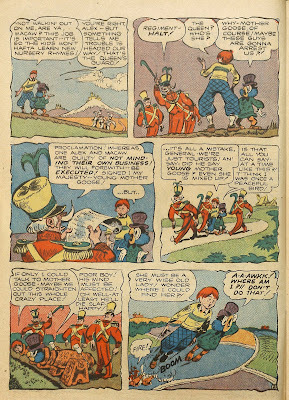 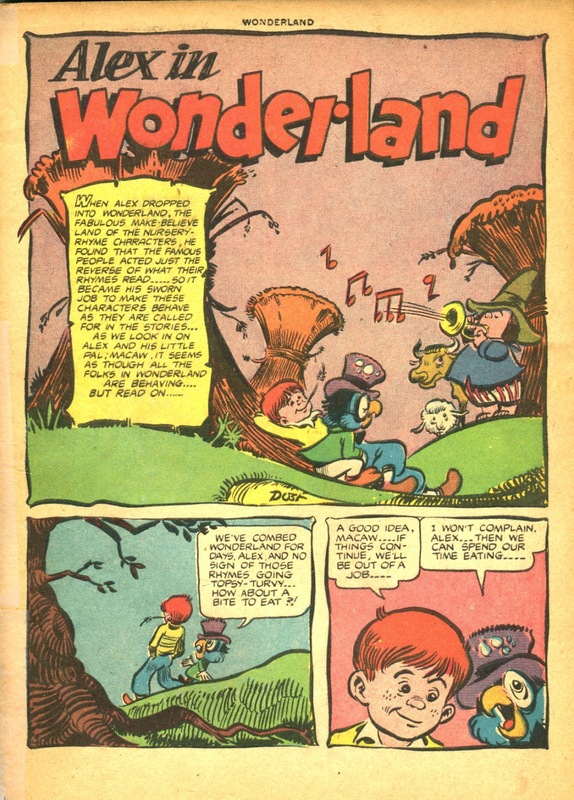 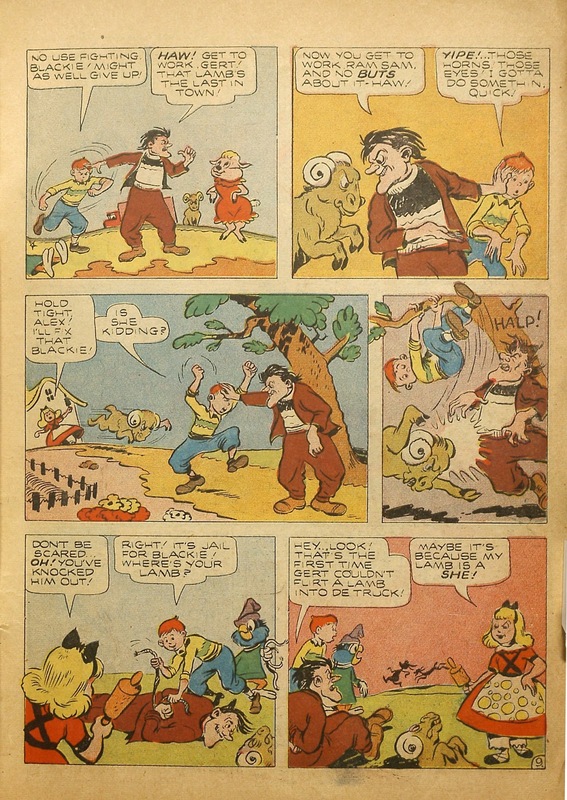 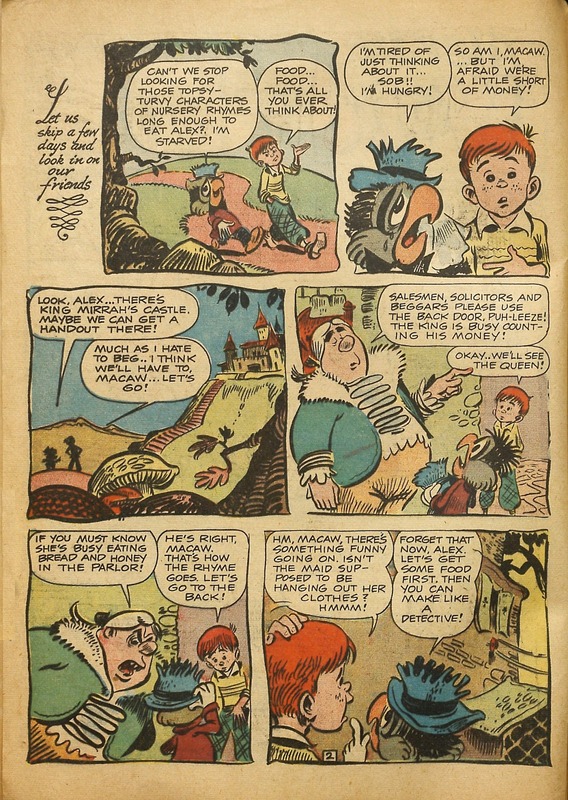 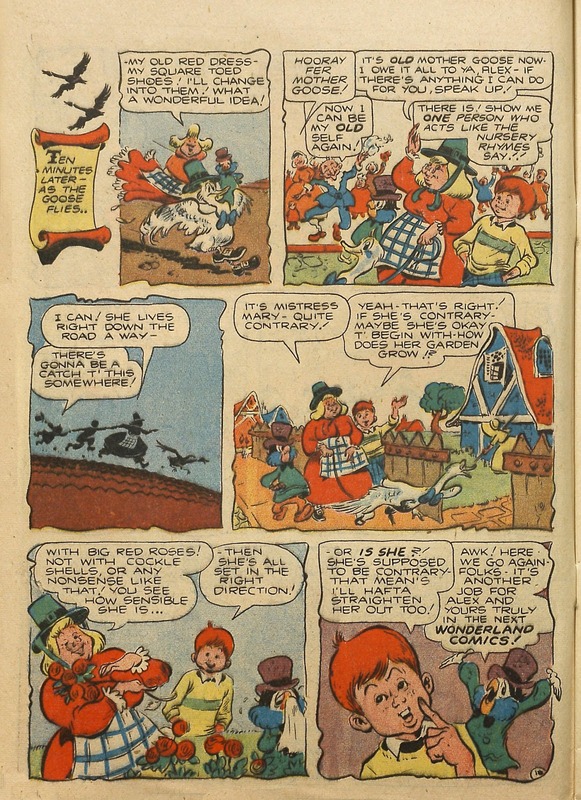 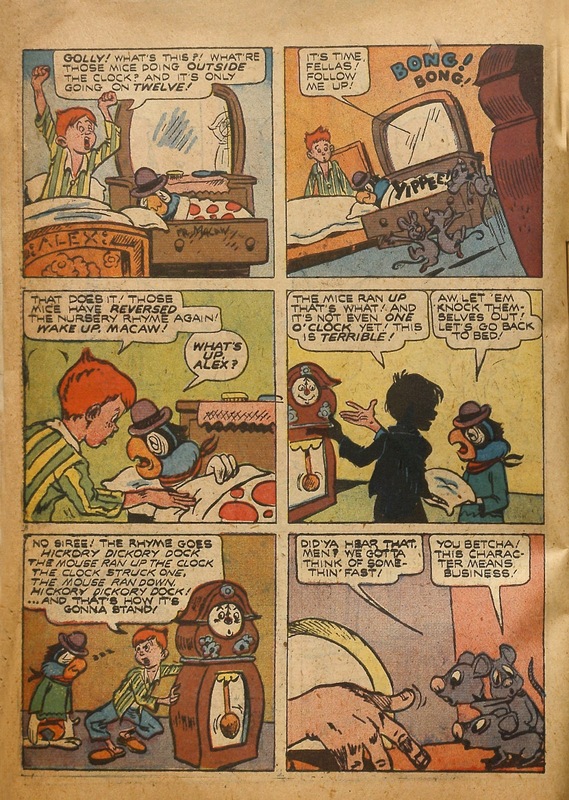 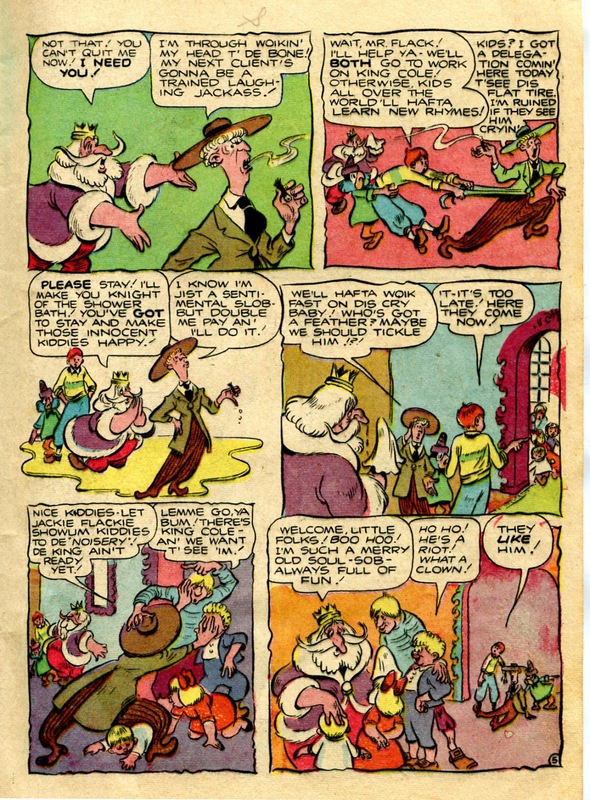 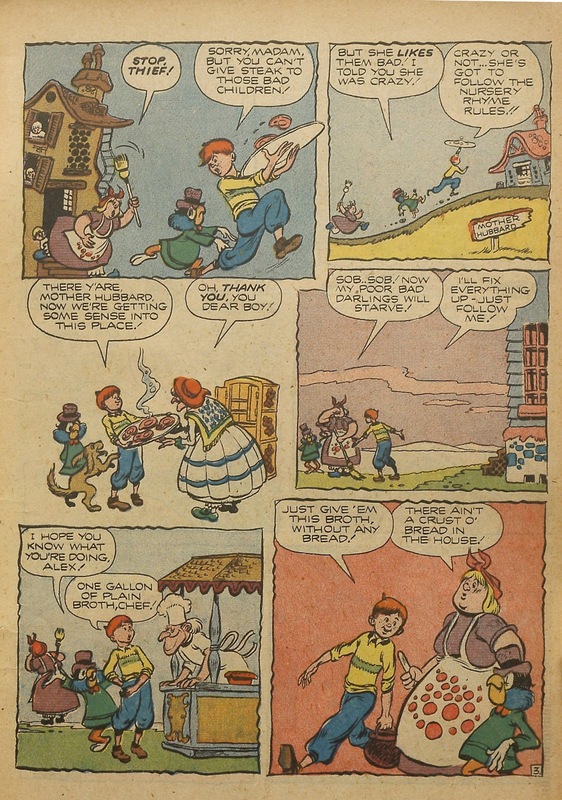 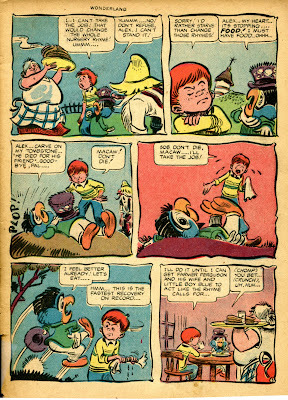 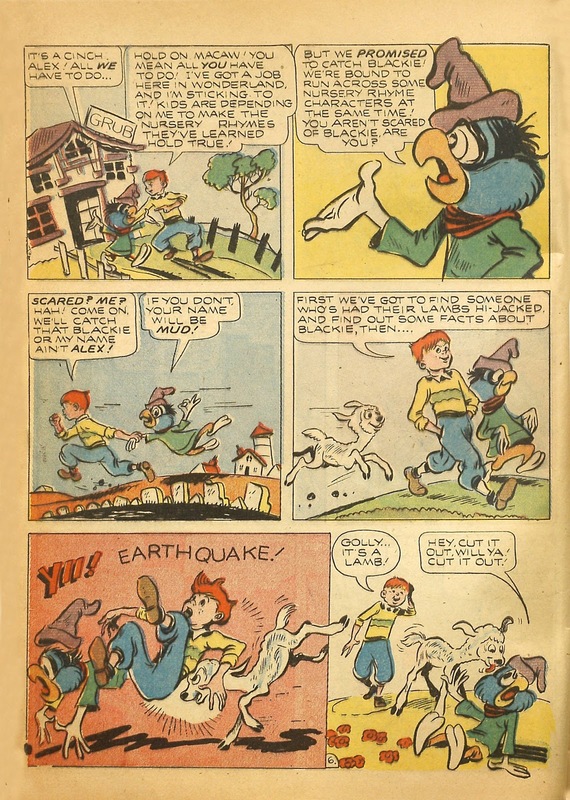 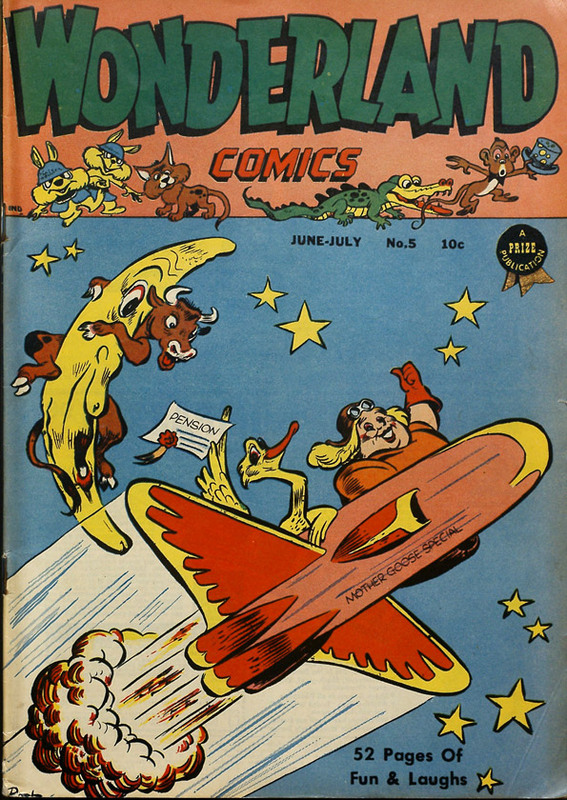 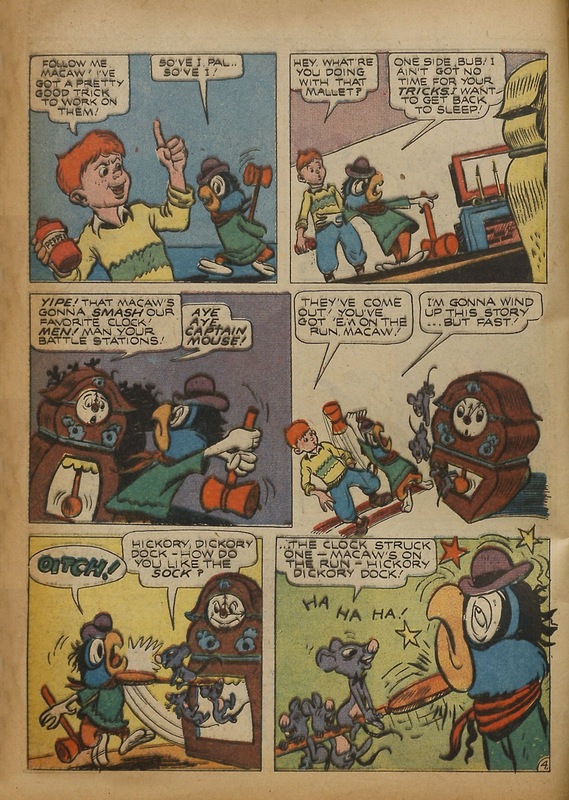 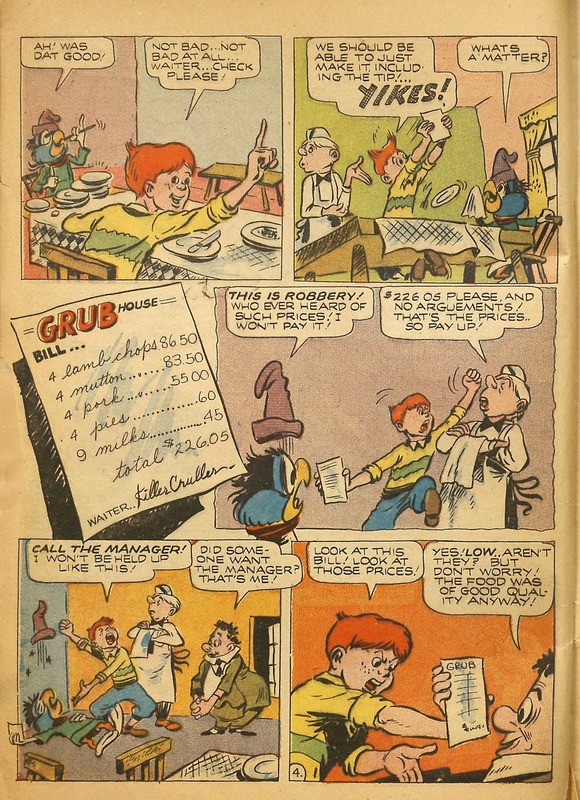 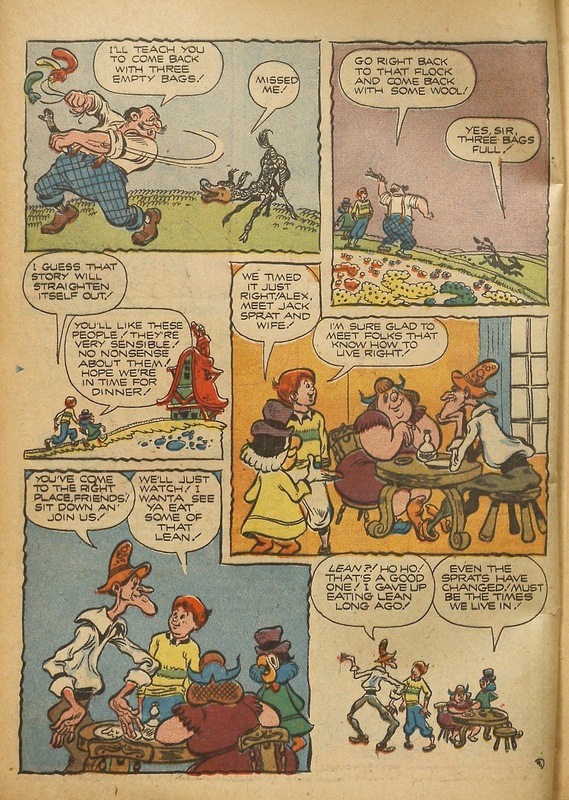 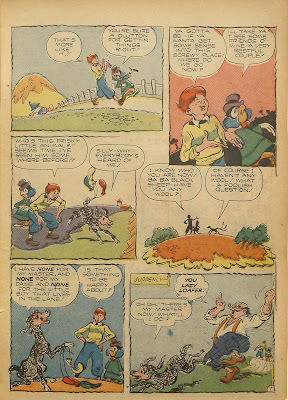 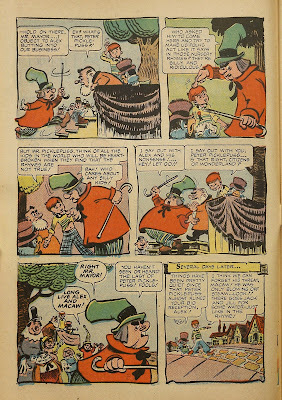 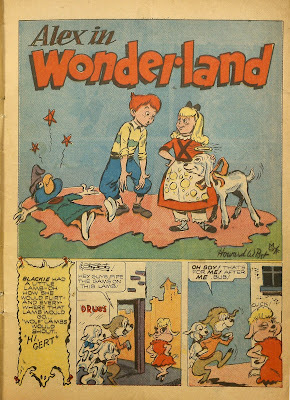 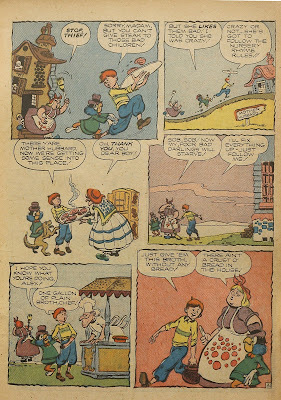 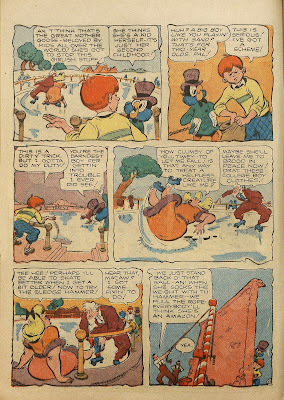 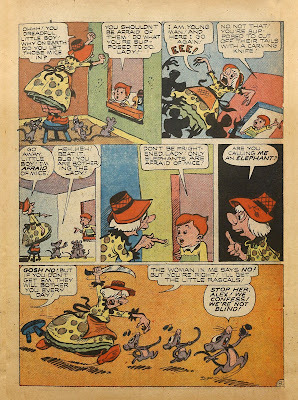 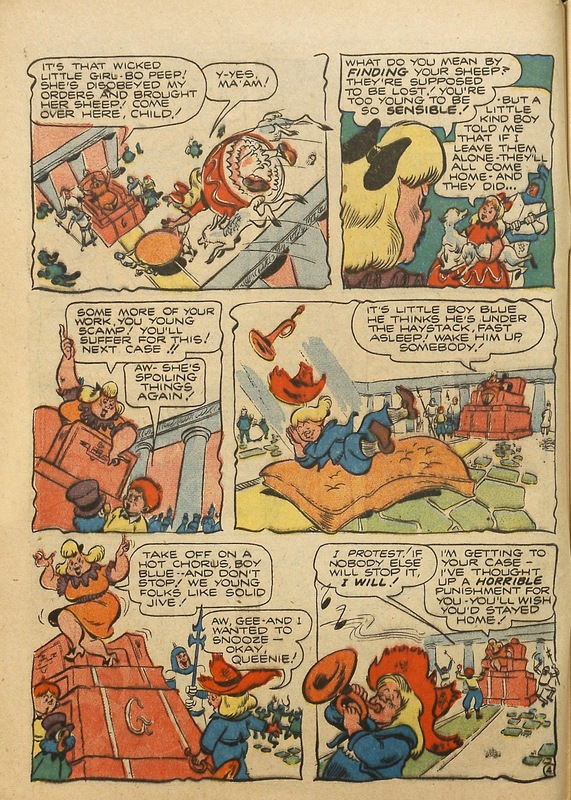 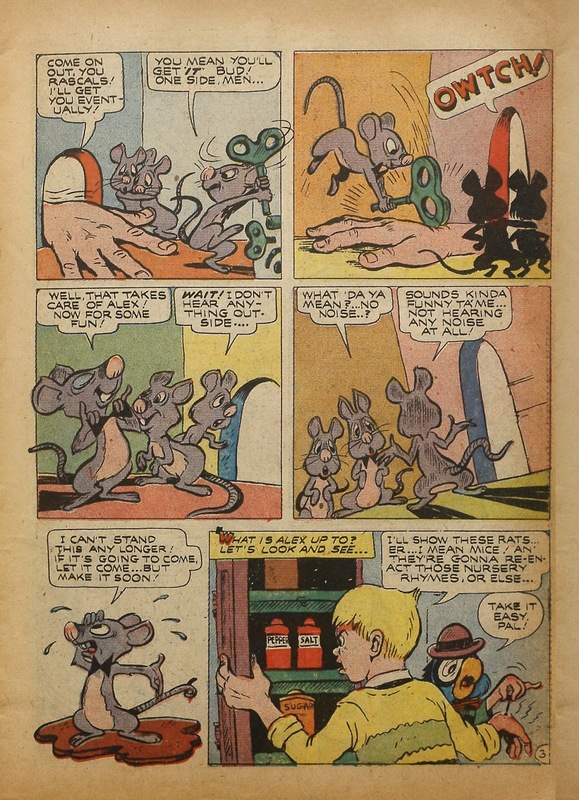 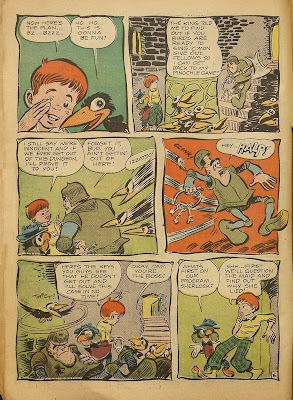 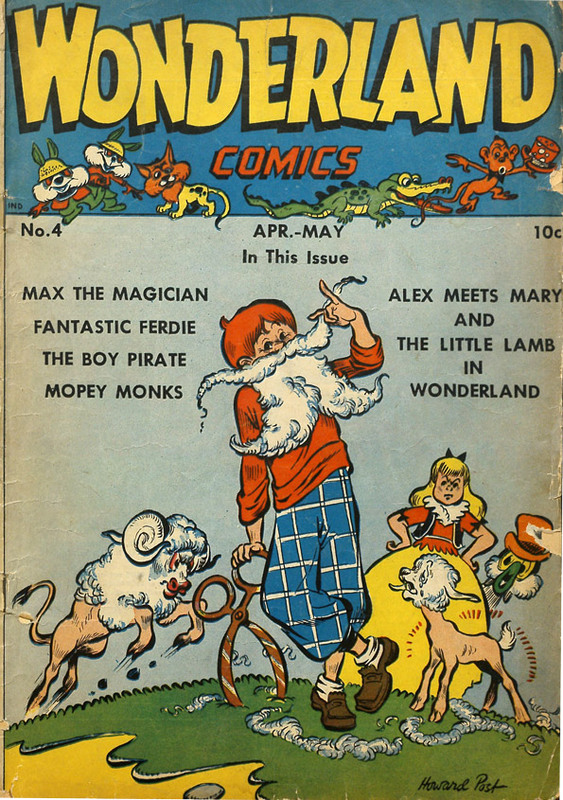 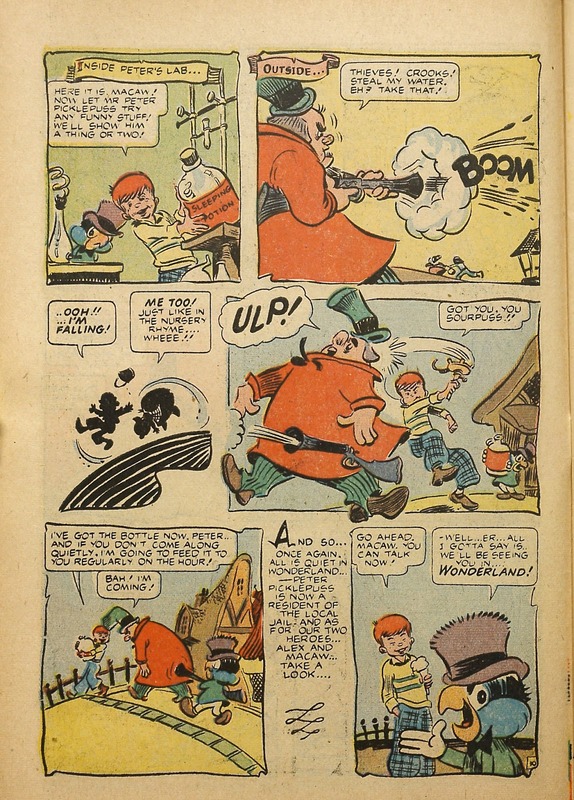 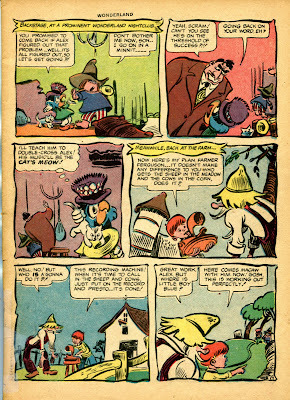 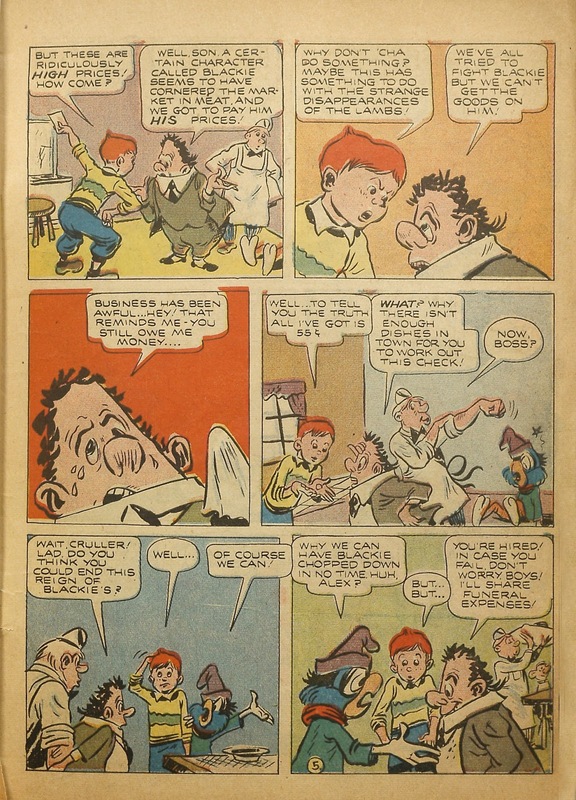 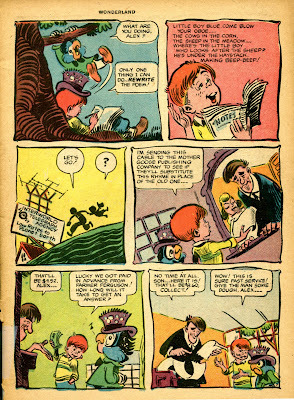 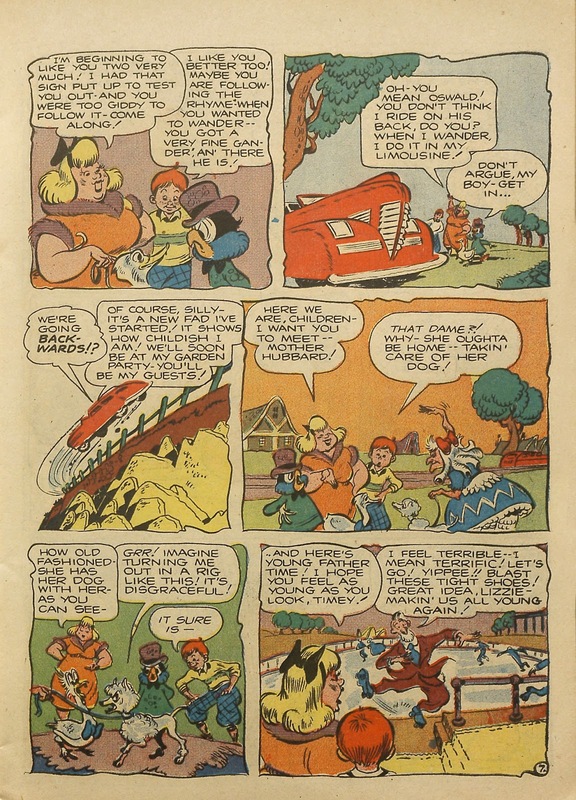 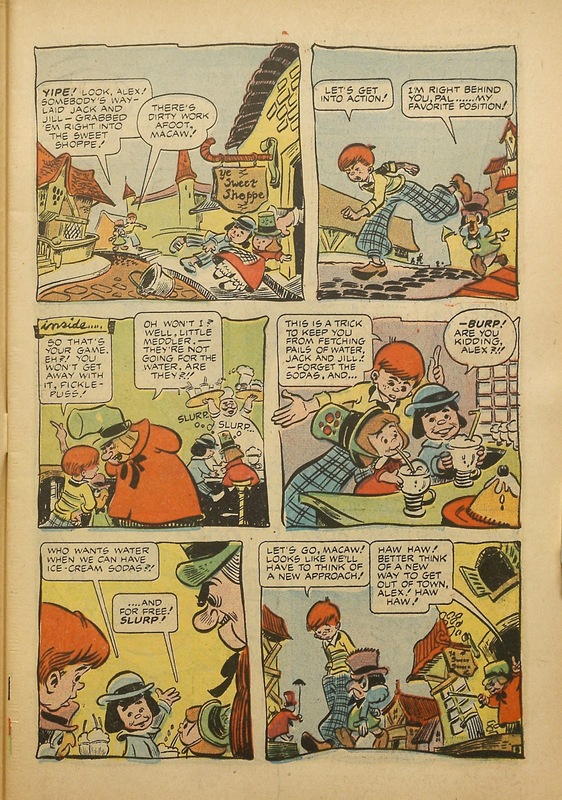 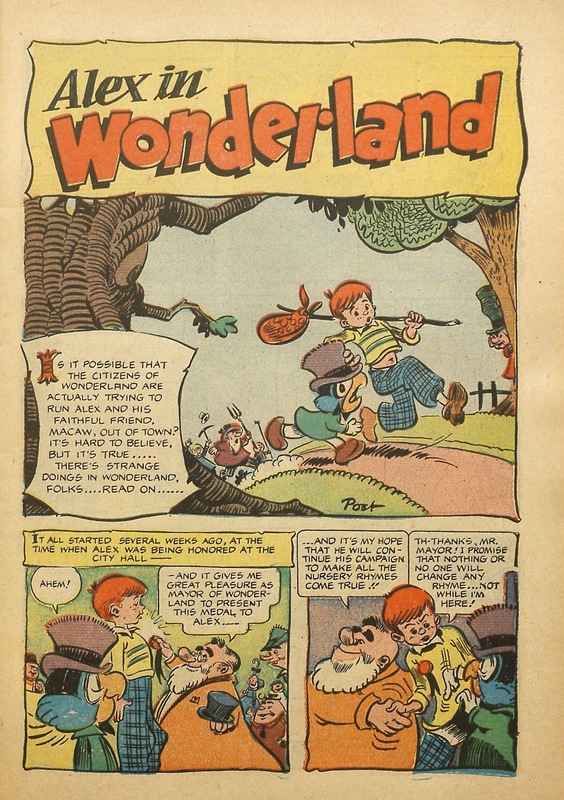 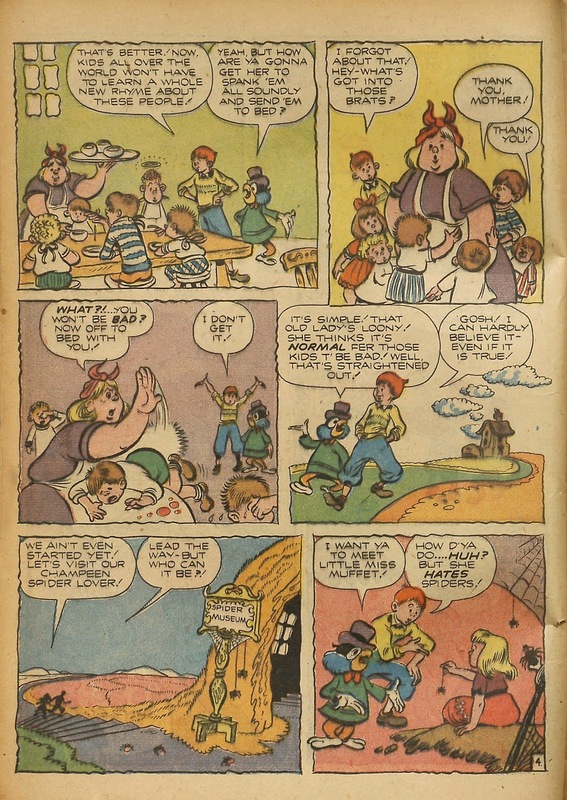 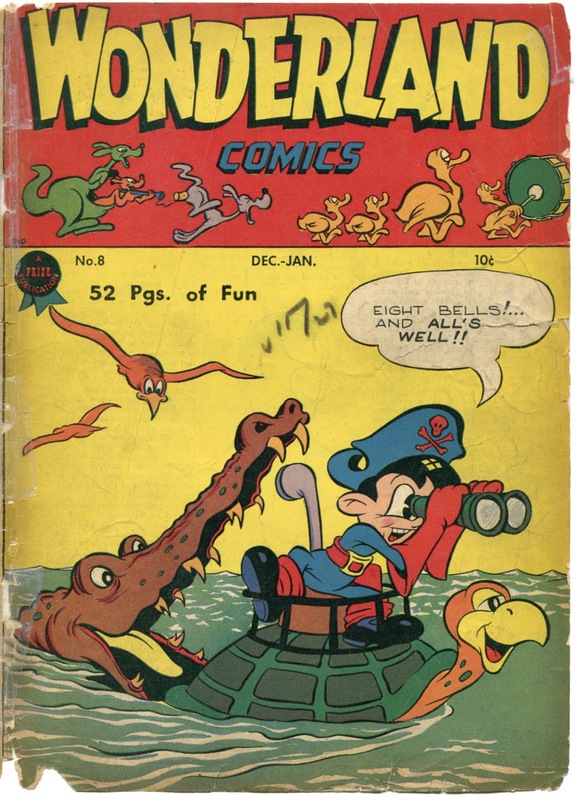 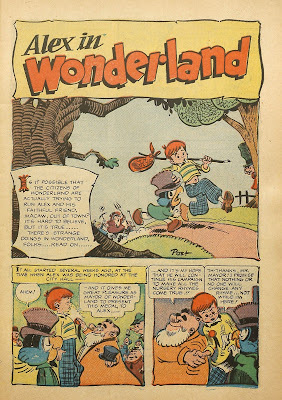 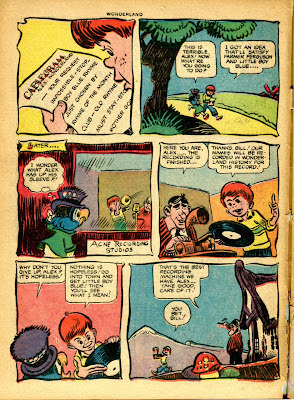 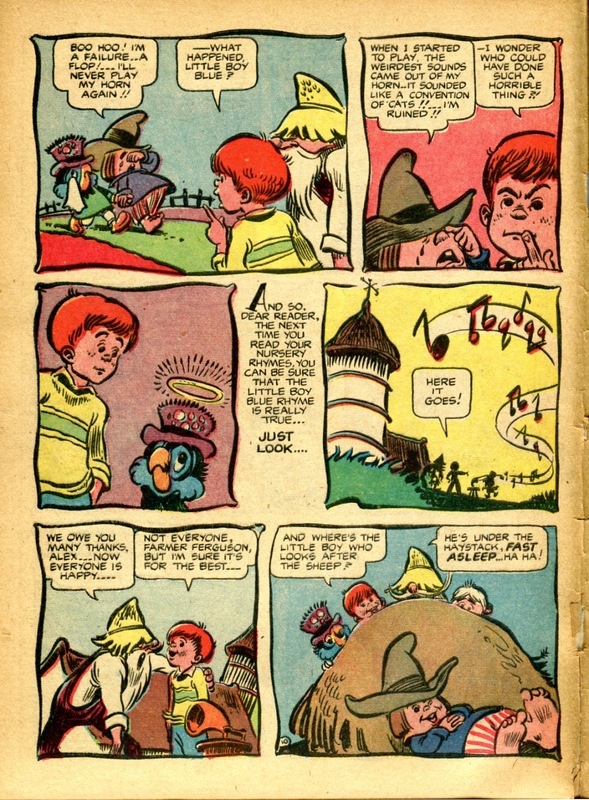 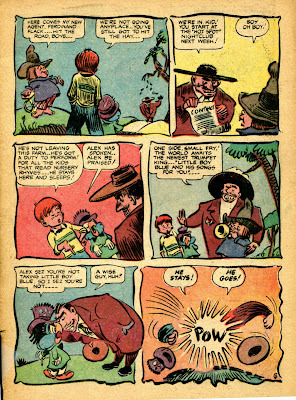 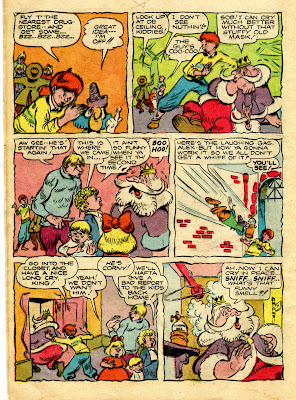 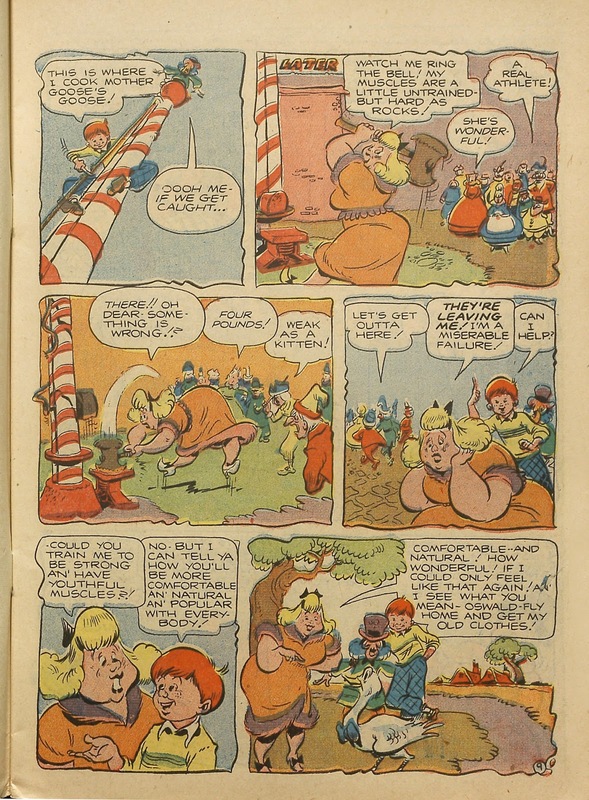 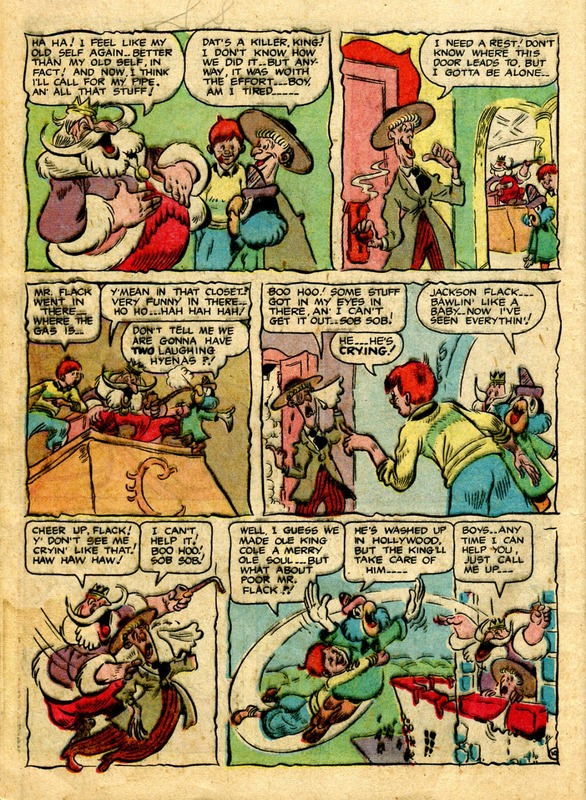 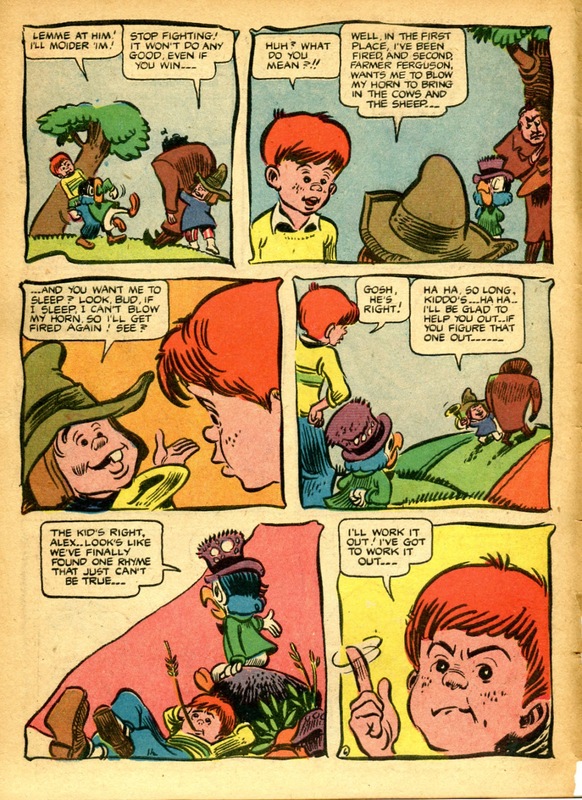 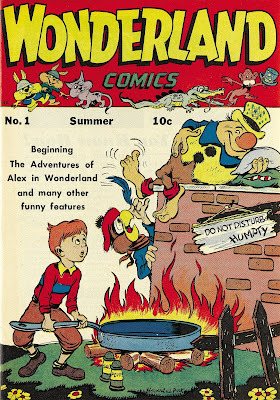 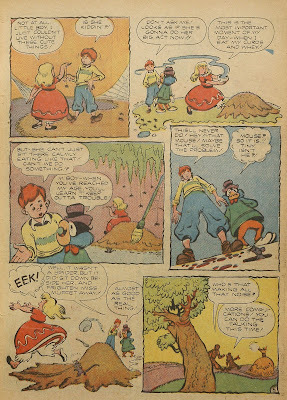 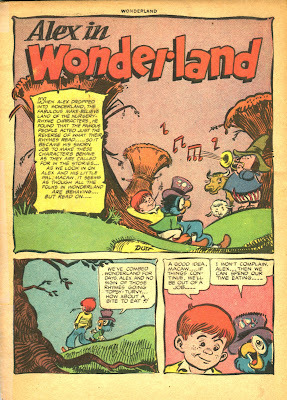 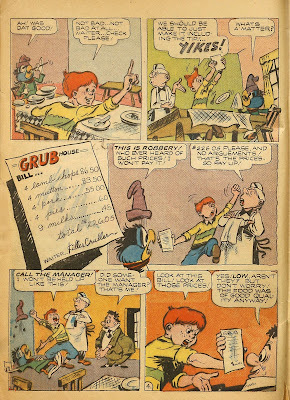 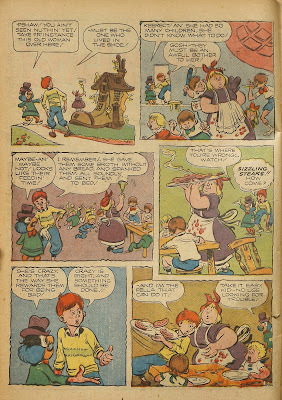 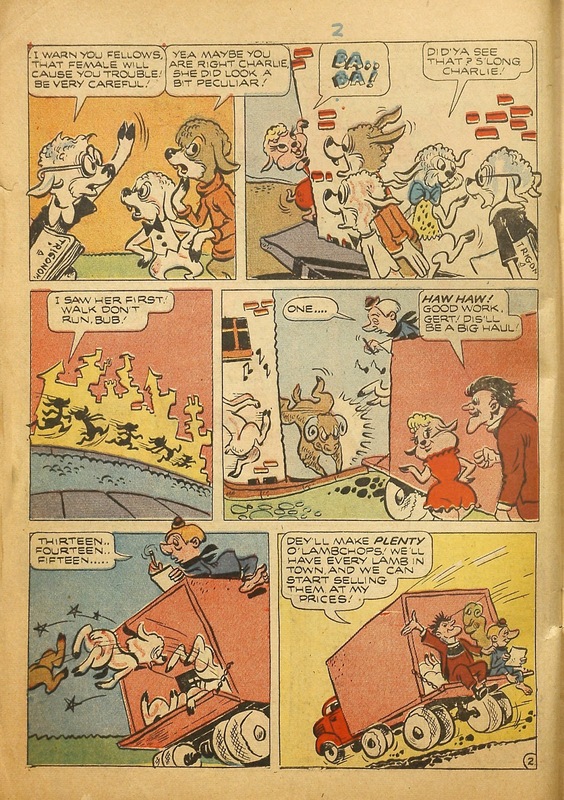 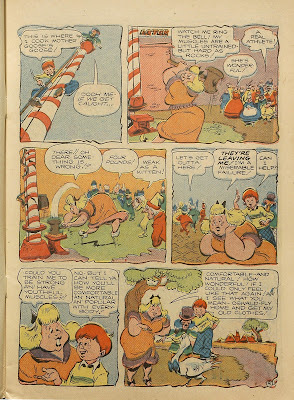 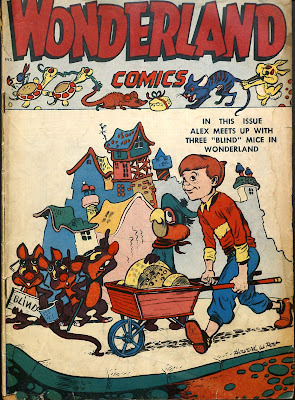 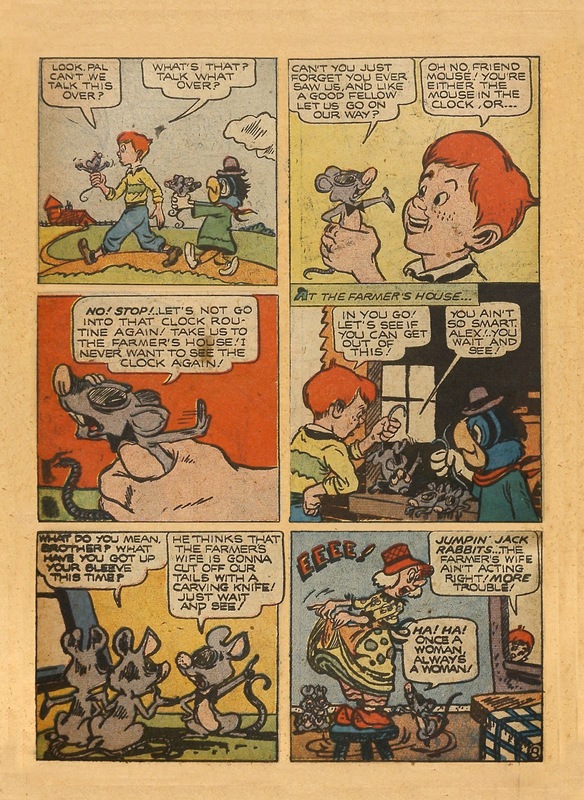 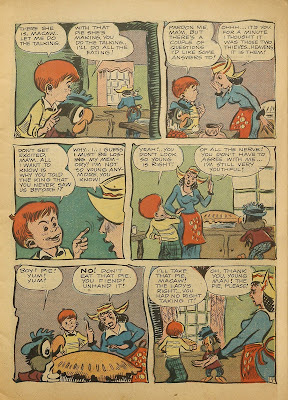 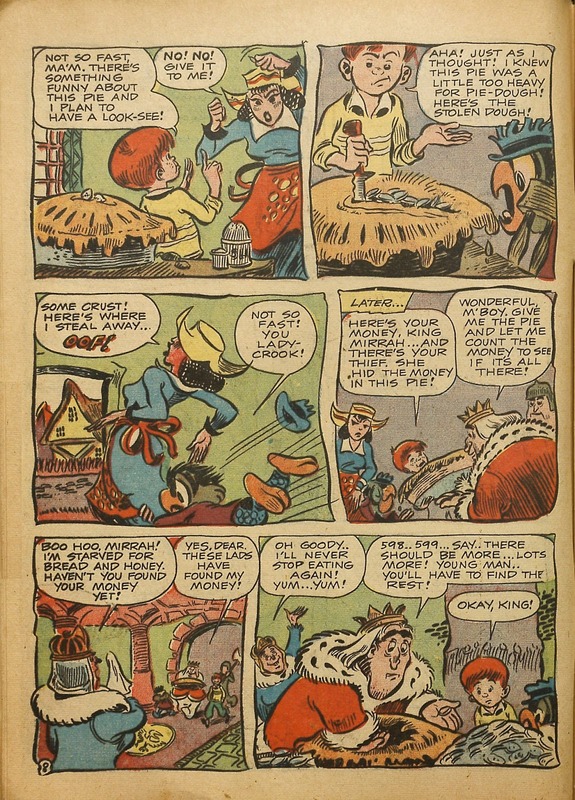 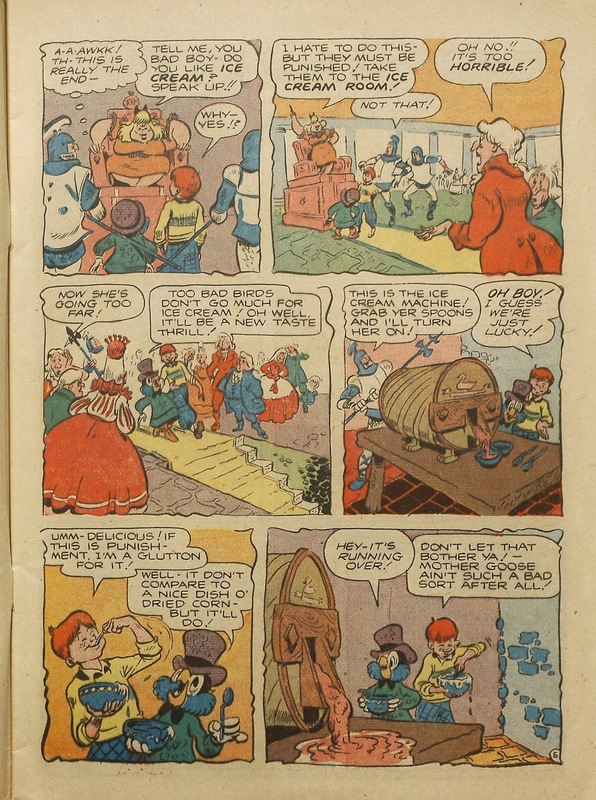 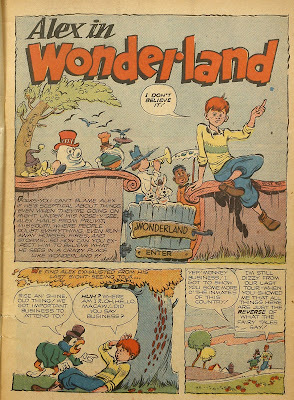 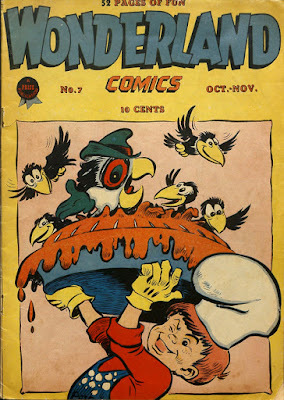 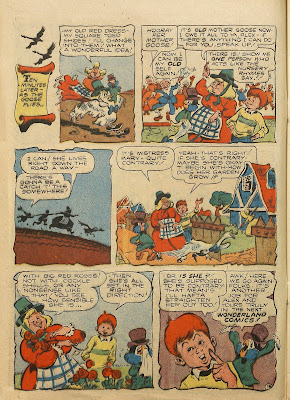 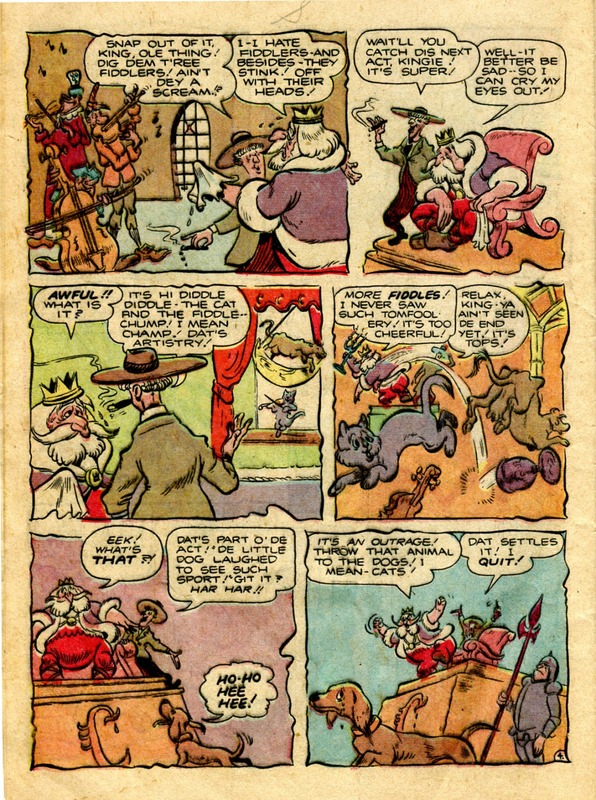 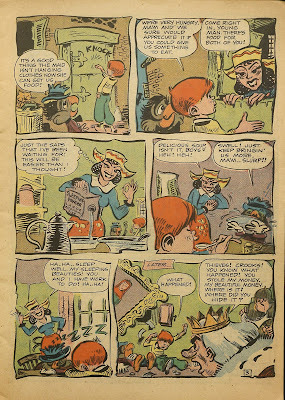 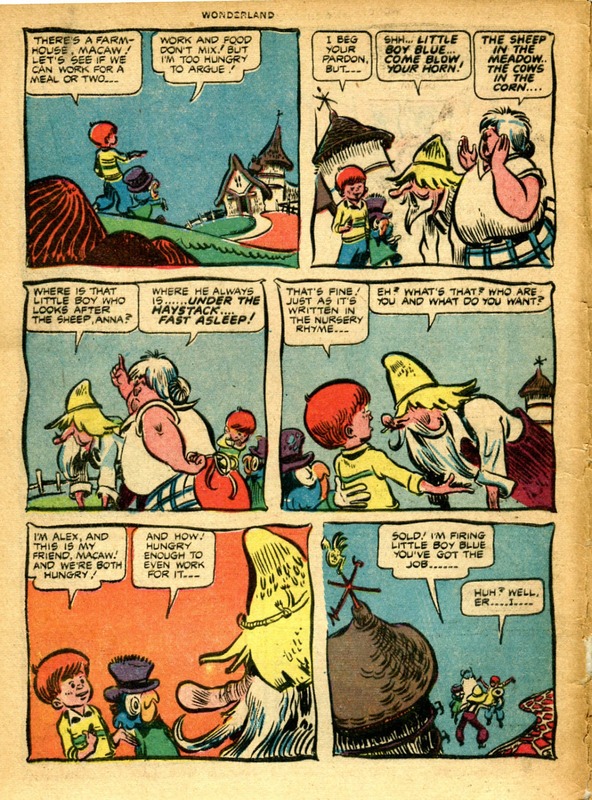 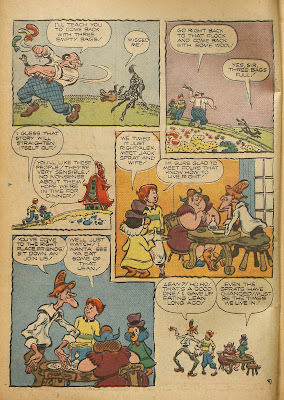 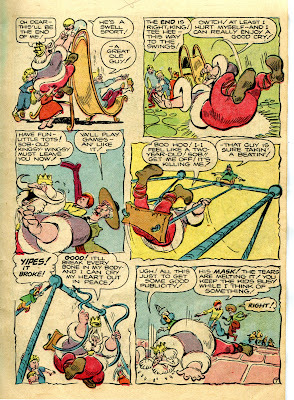 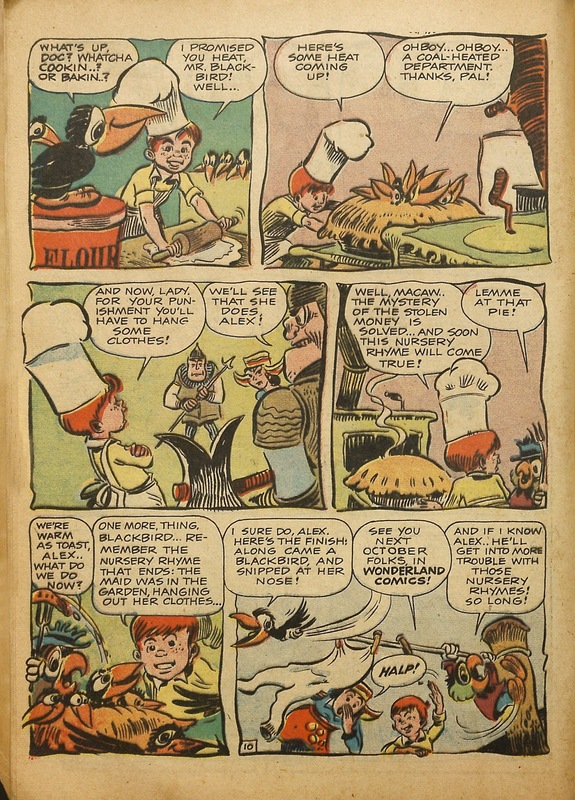 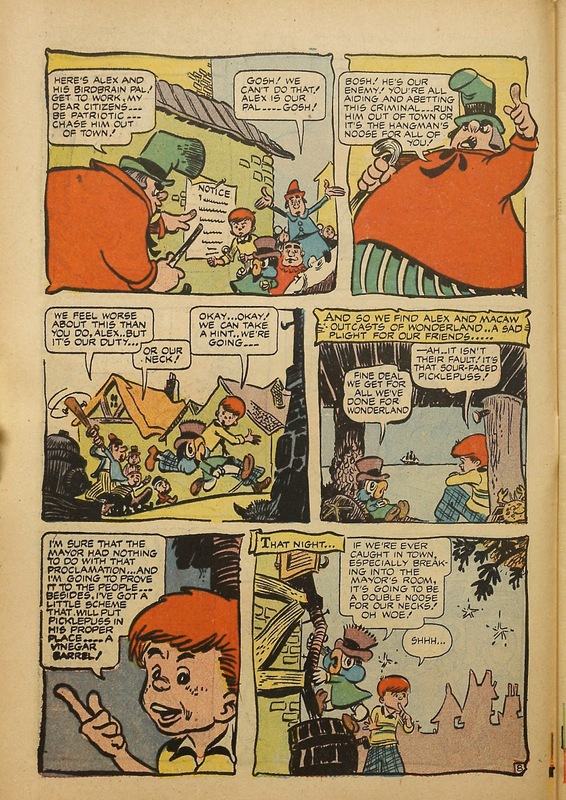 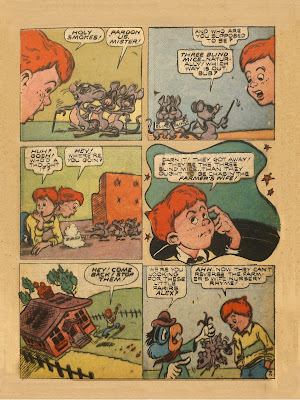 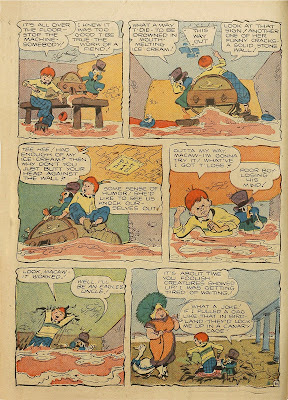 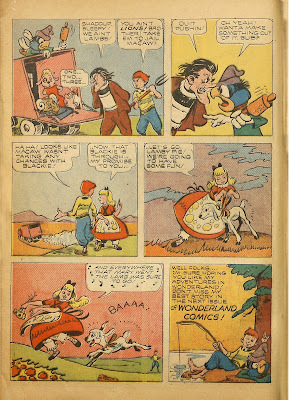 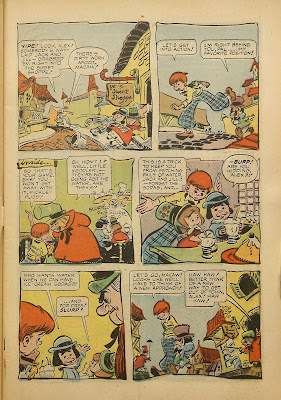 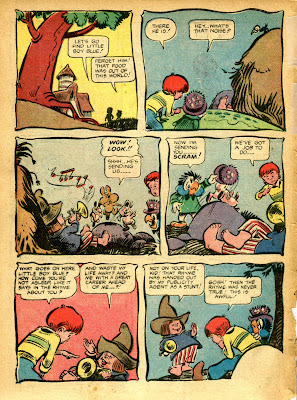 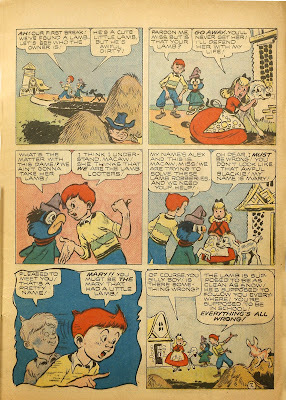 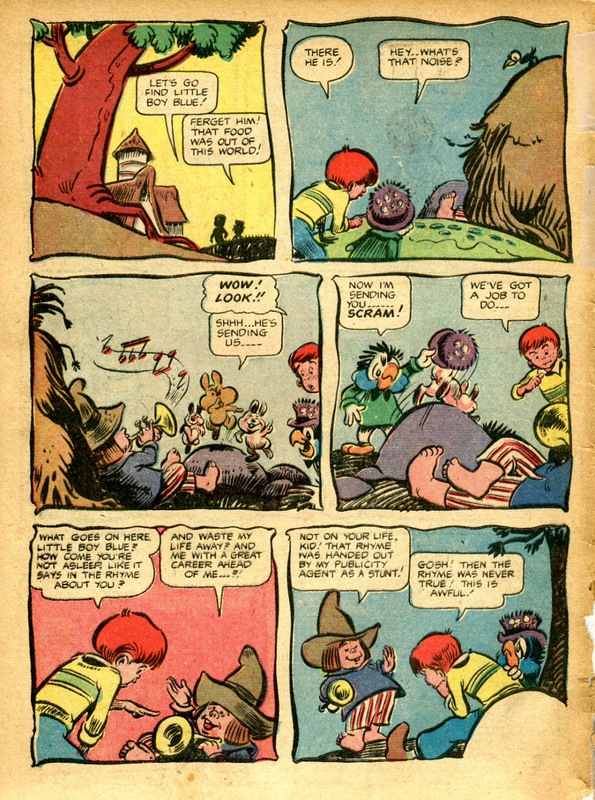 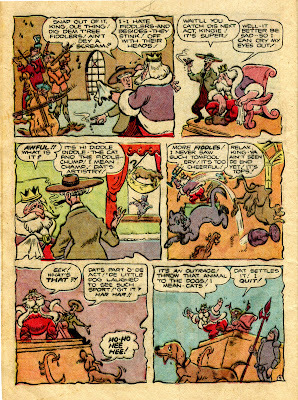 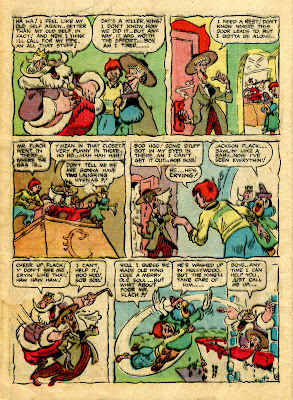 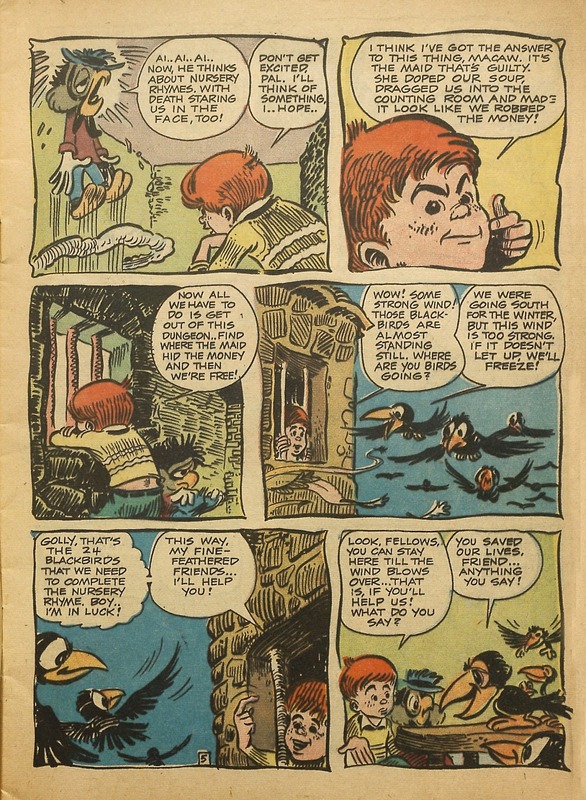 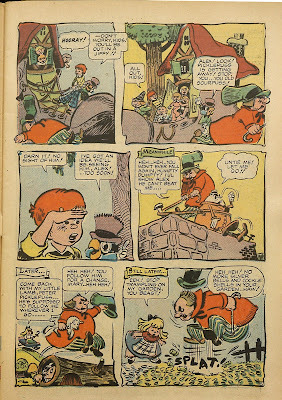 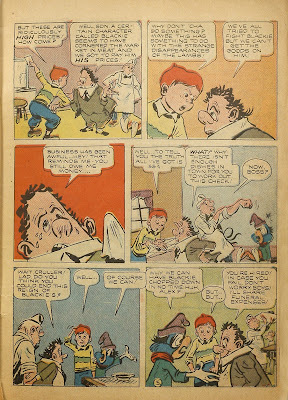 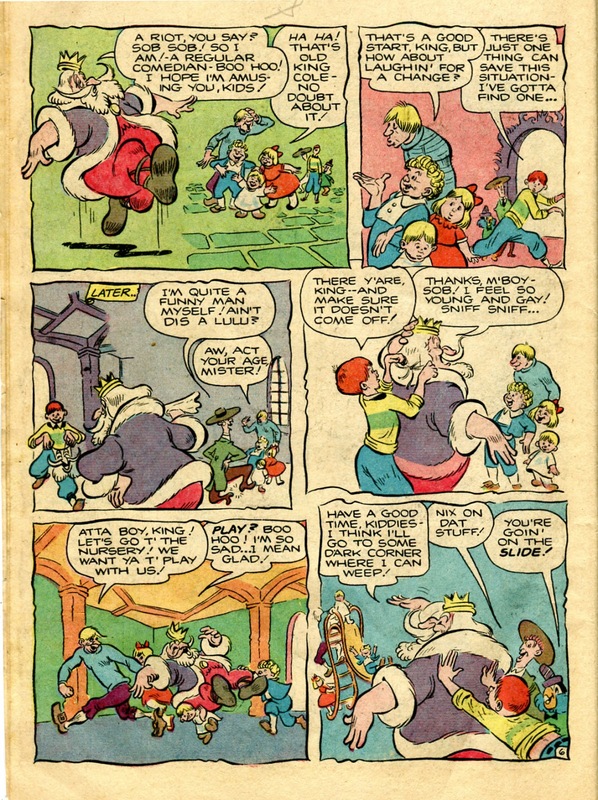 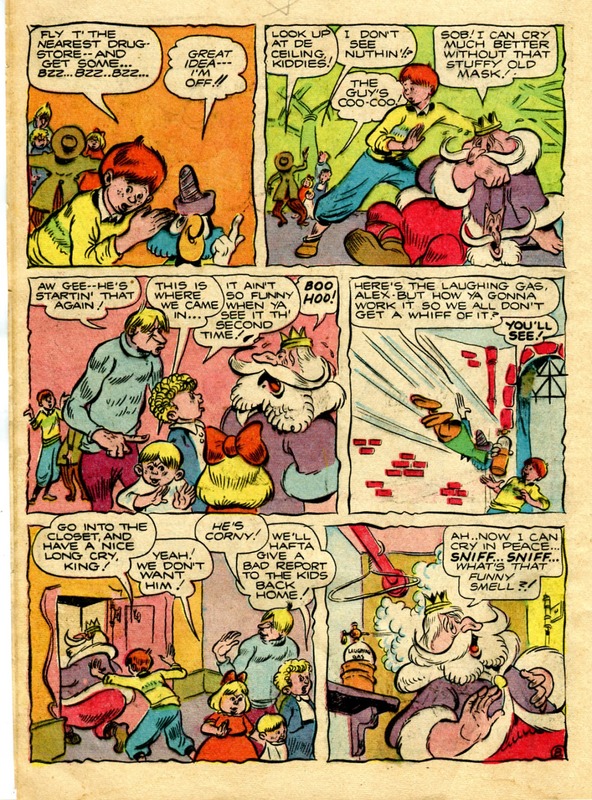 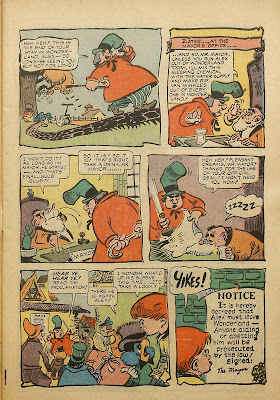 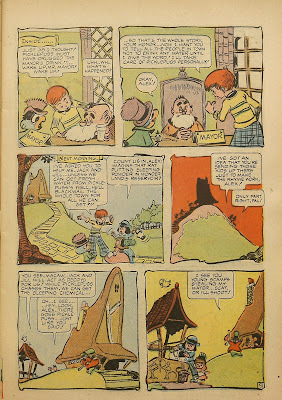 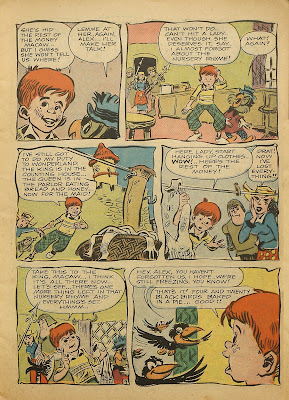 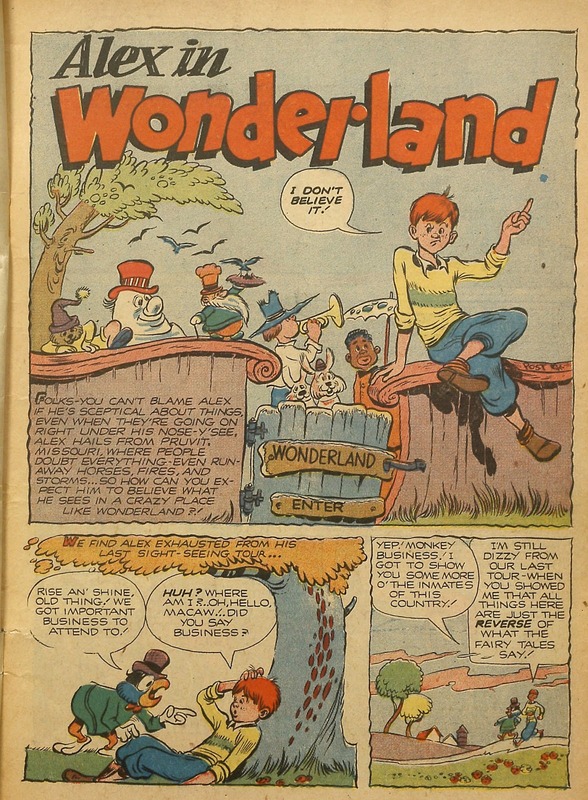 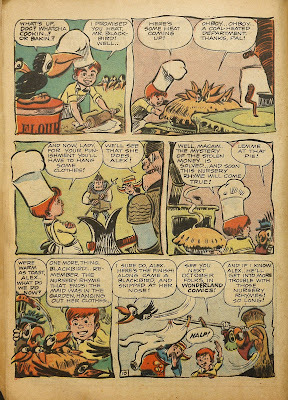 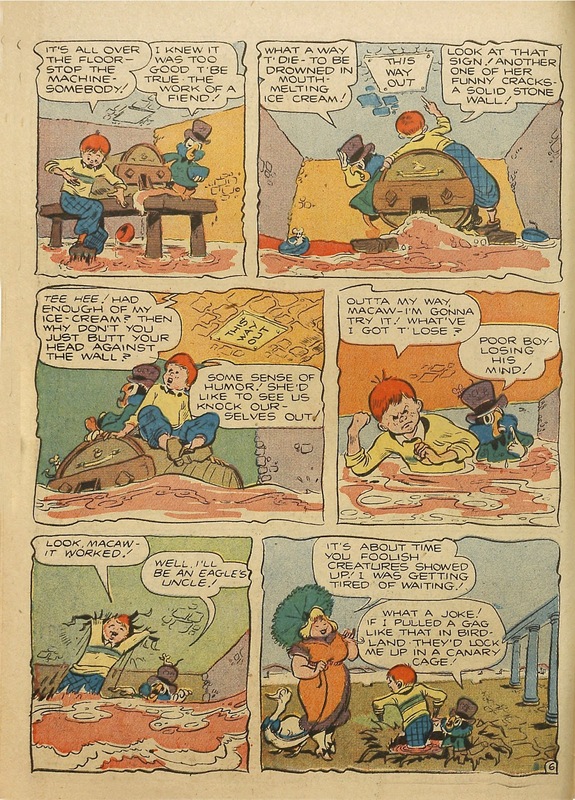 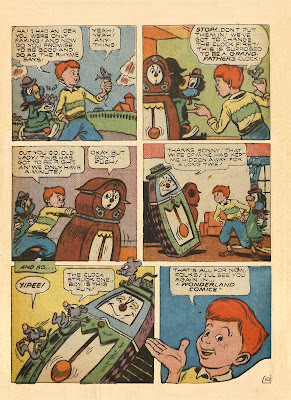 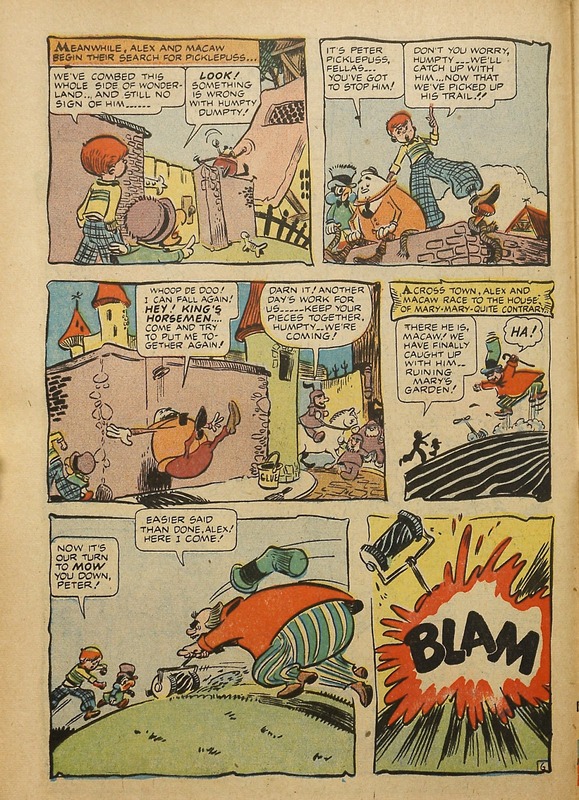 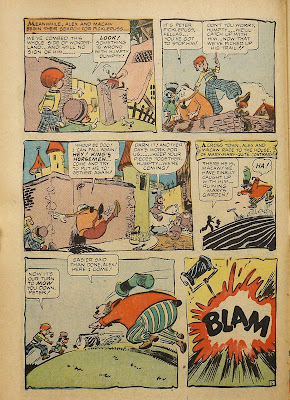 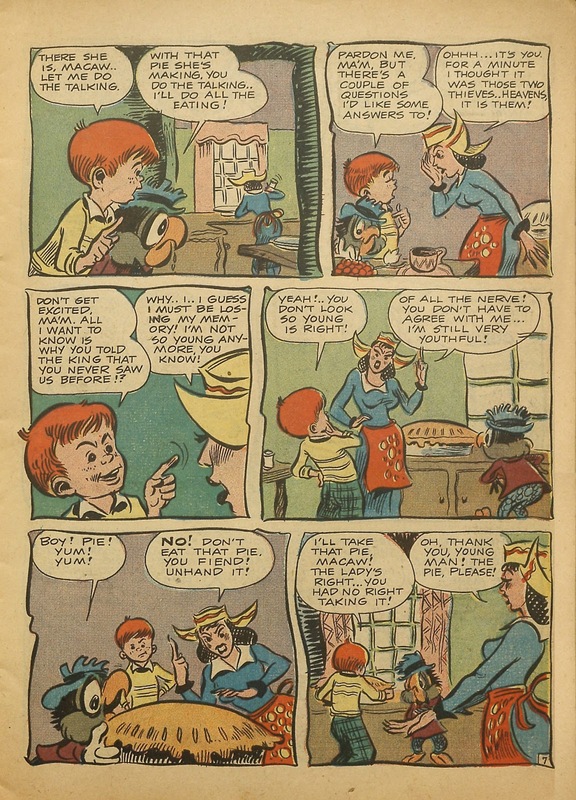 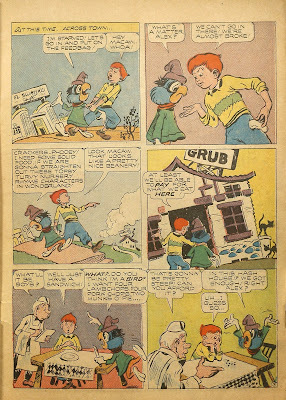 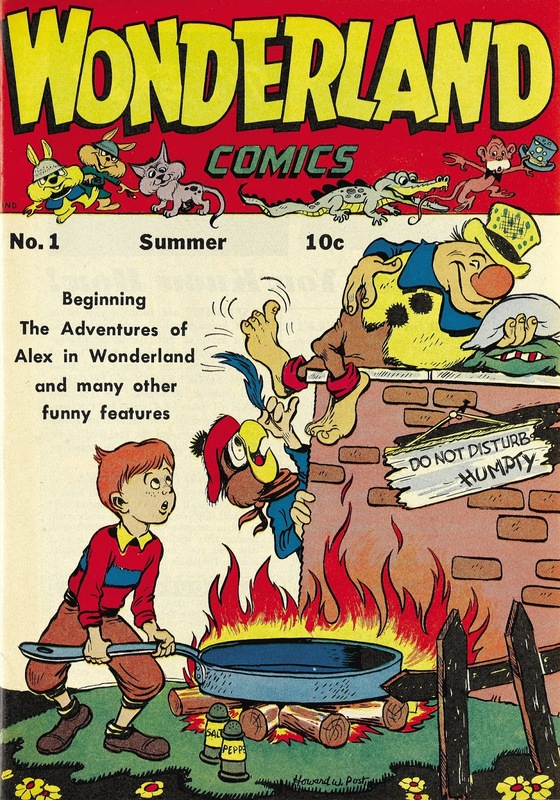 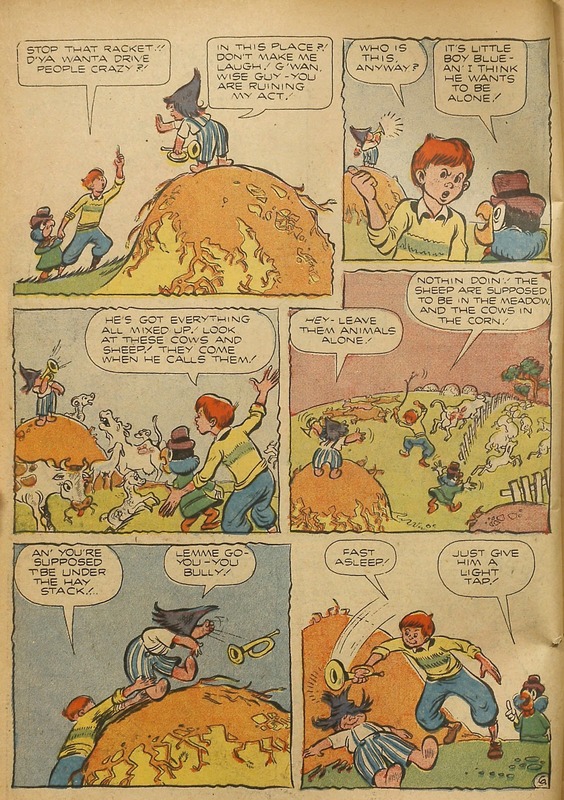 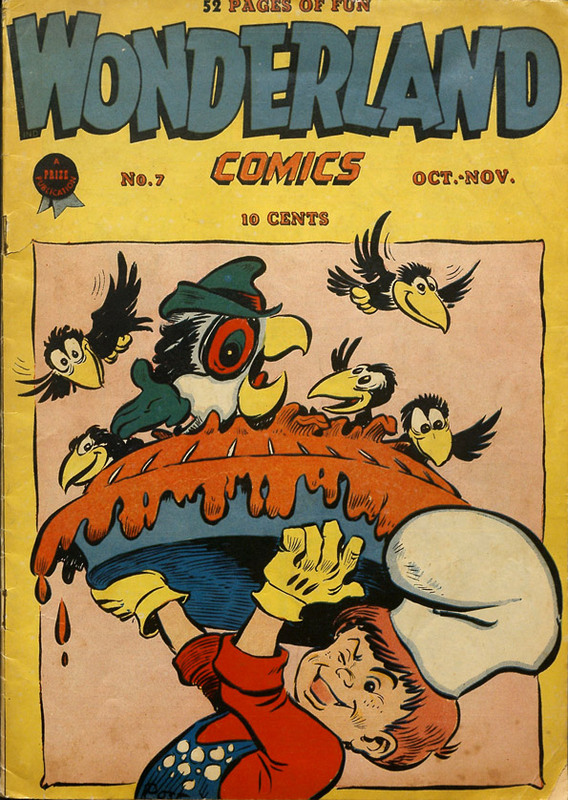 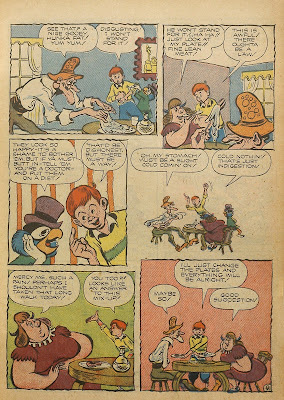 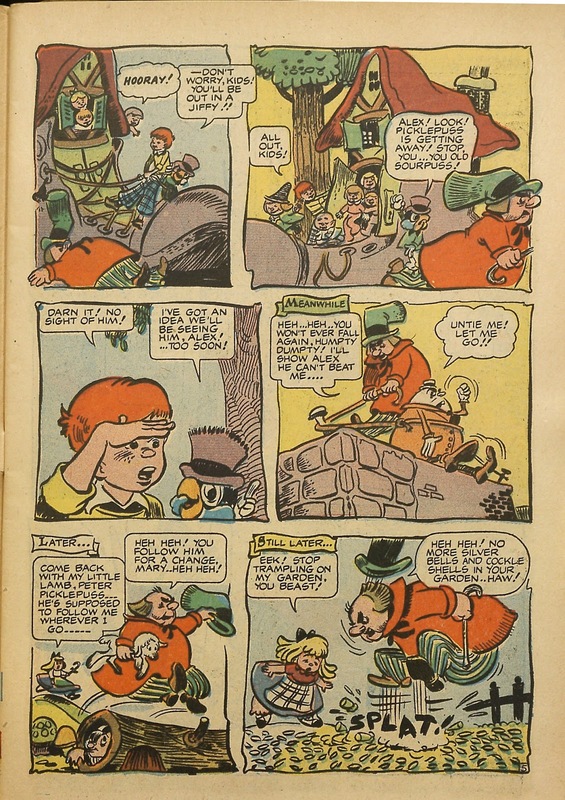 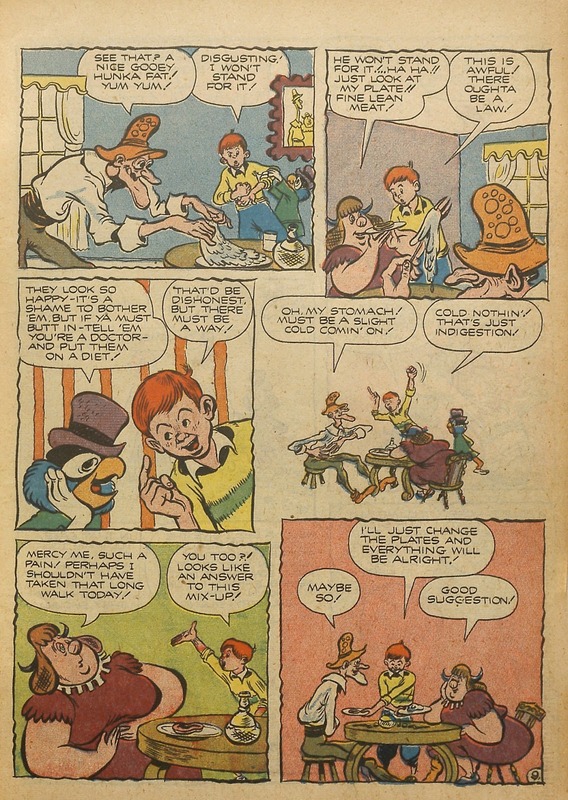 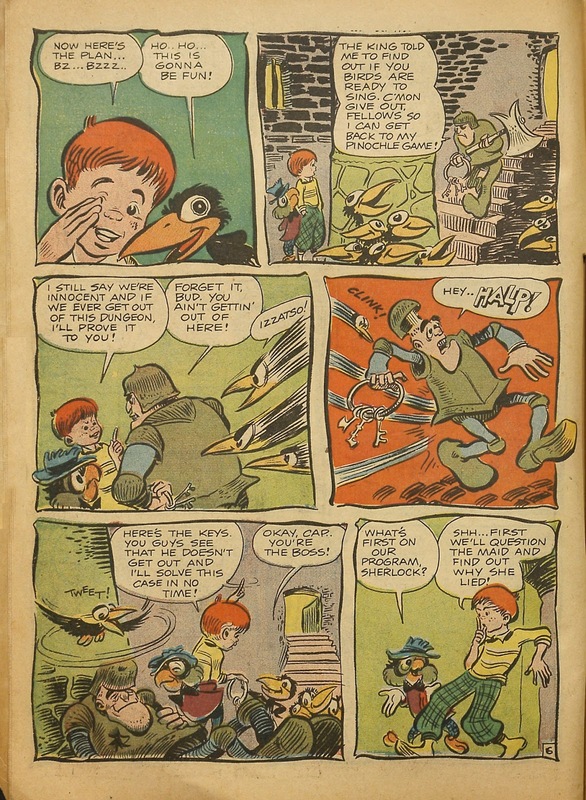 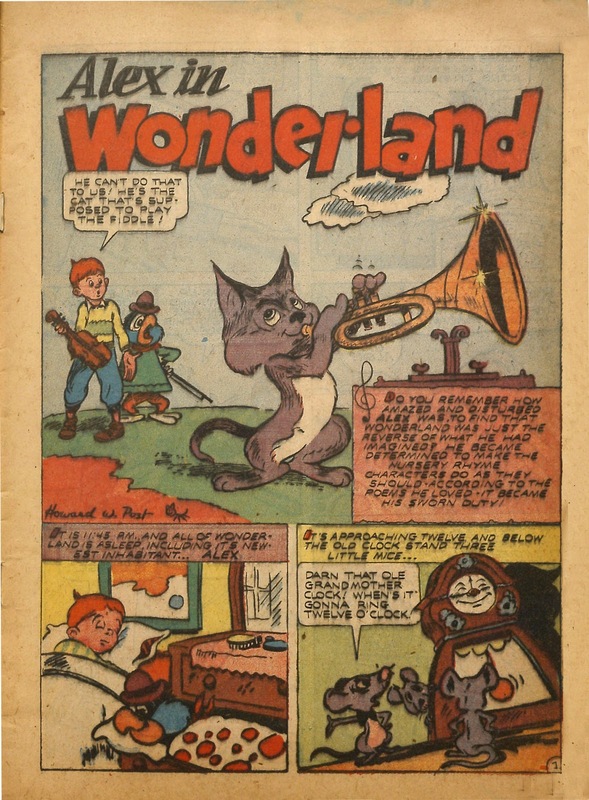 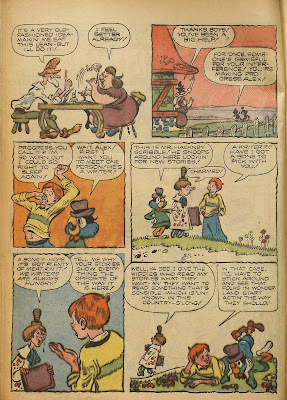 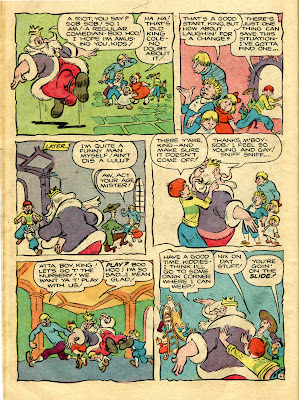 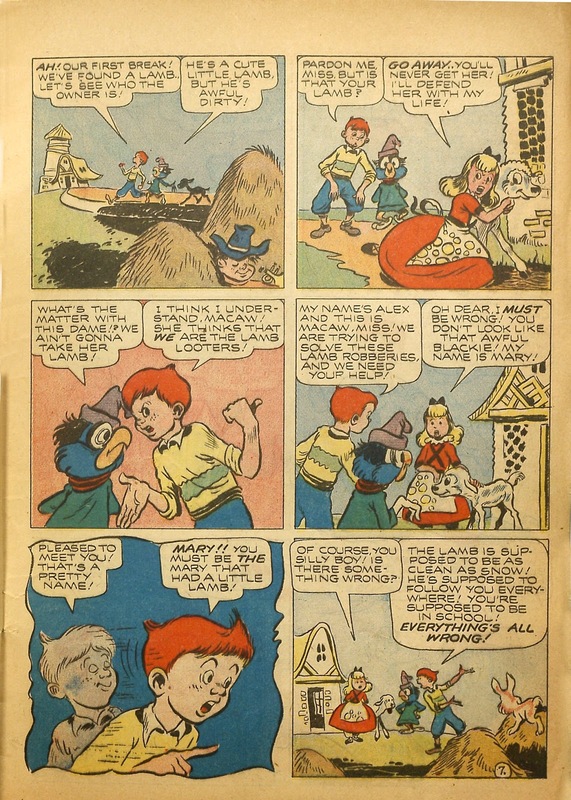 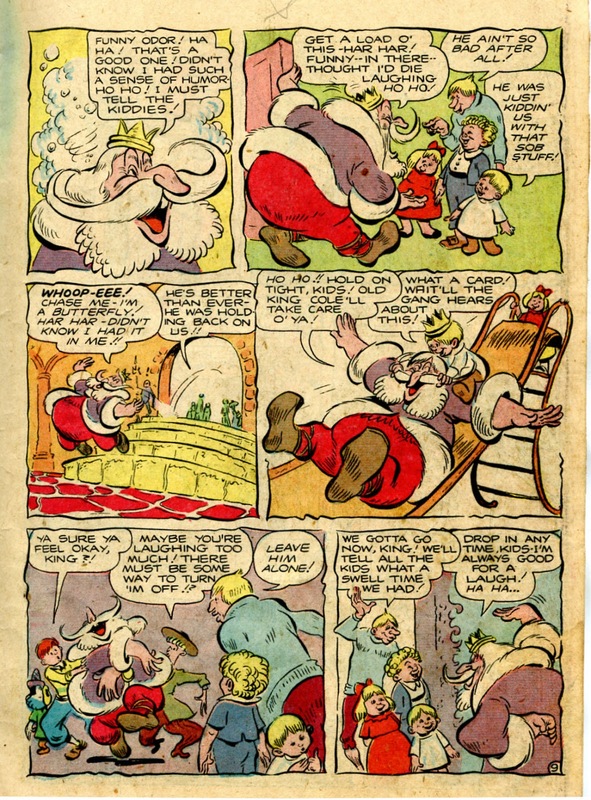 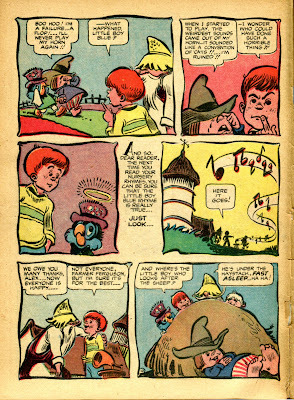 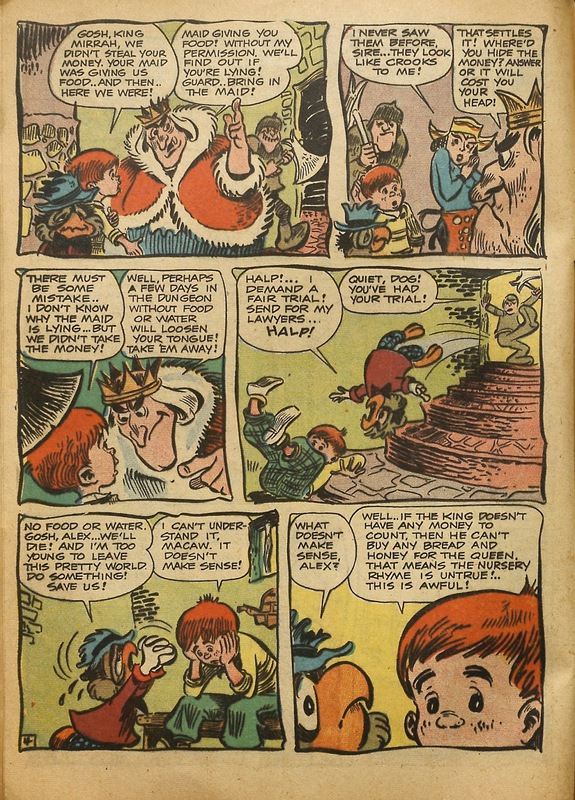 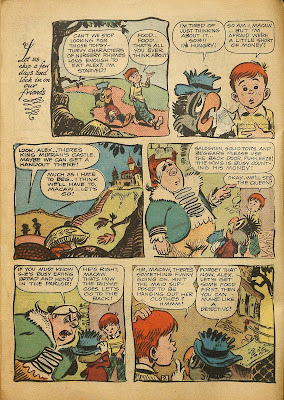 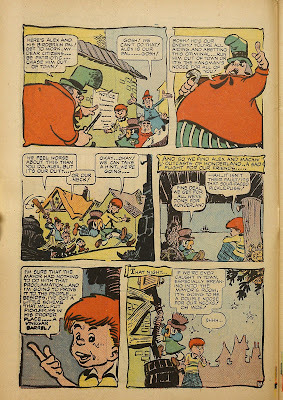 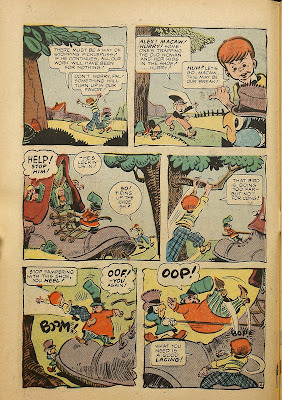 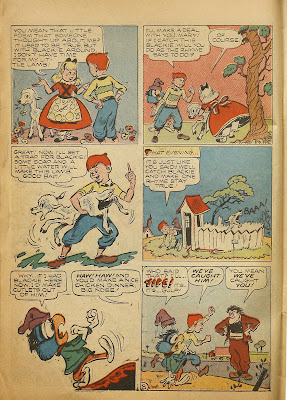 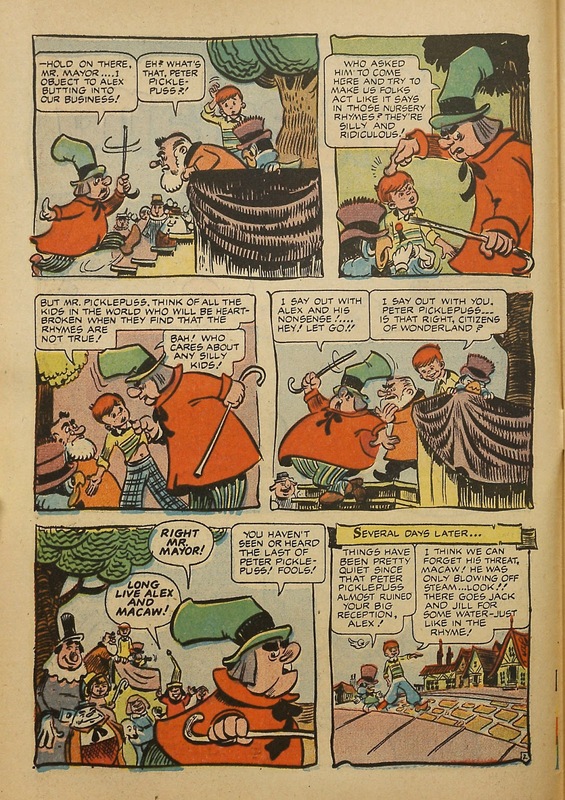 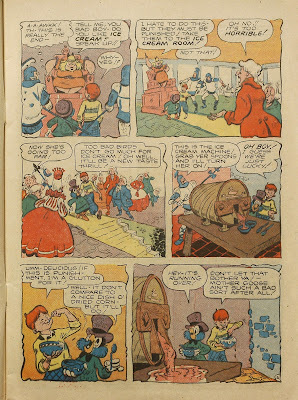 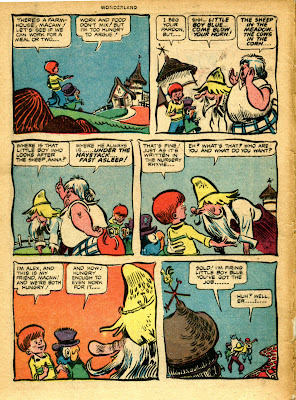 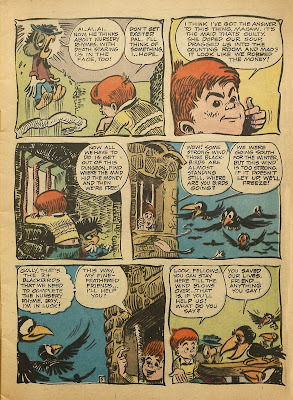 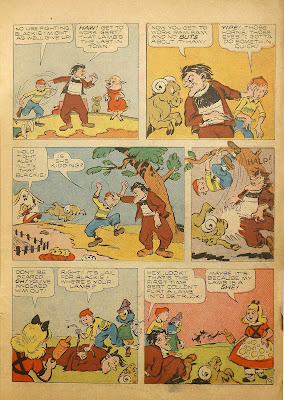 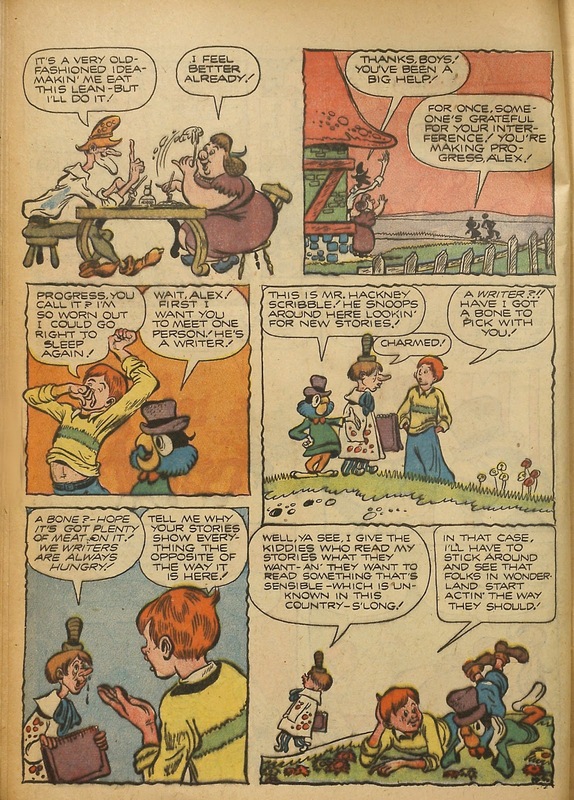 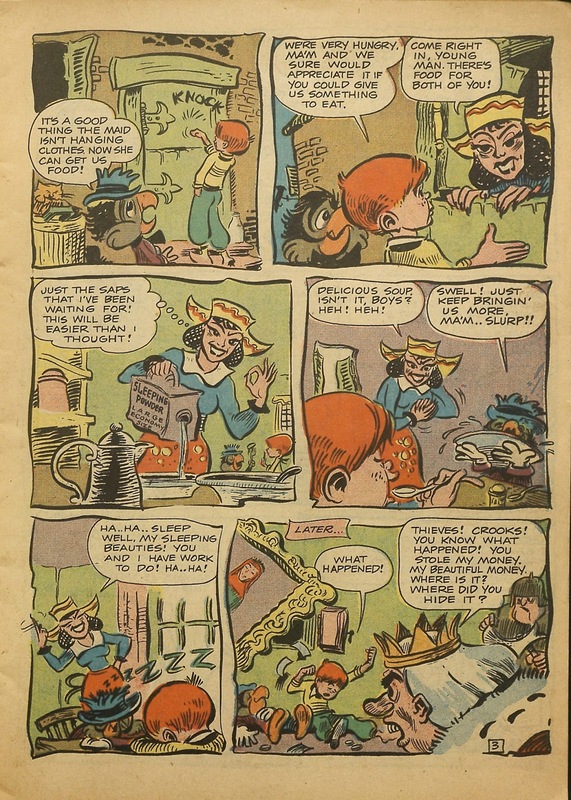 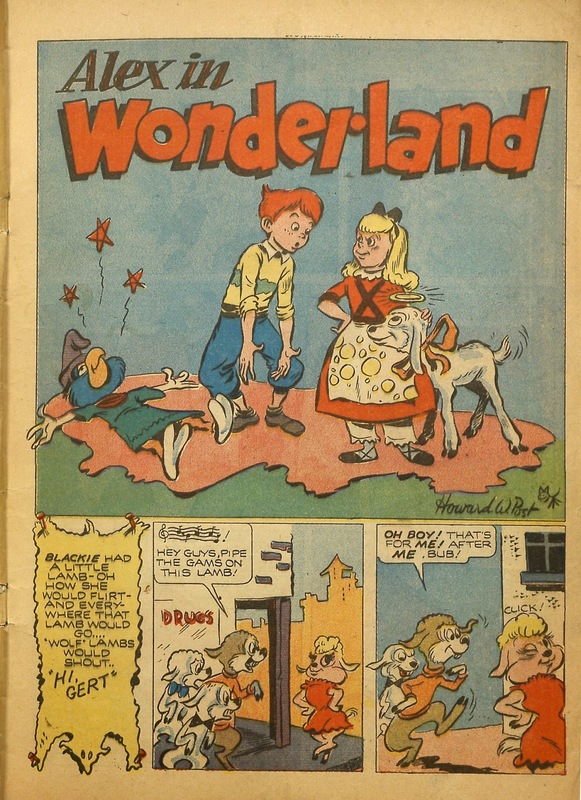 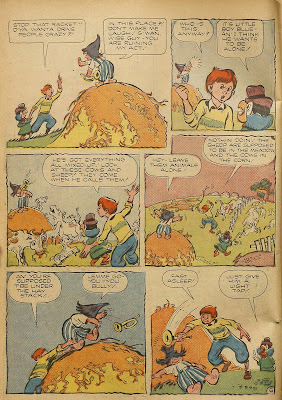 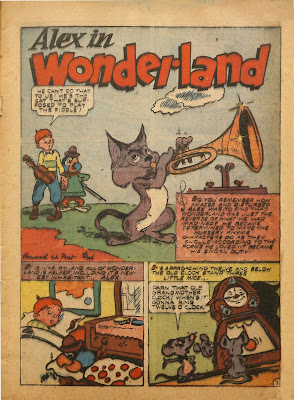 The great Howie Post started out as a Walt Kelly impersonator. 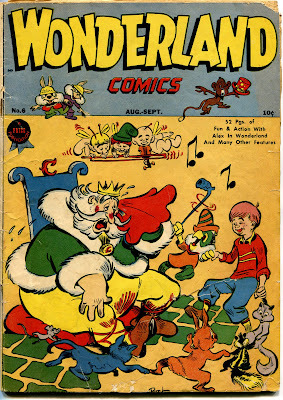 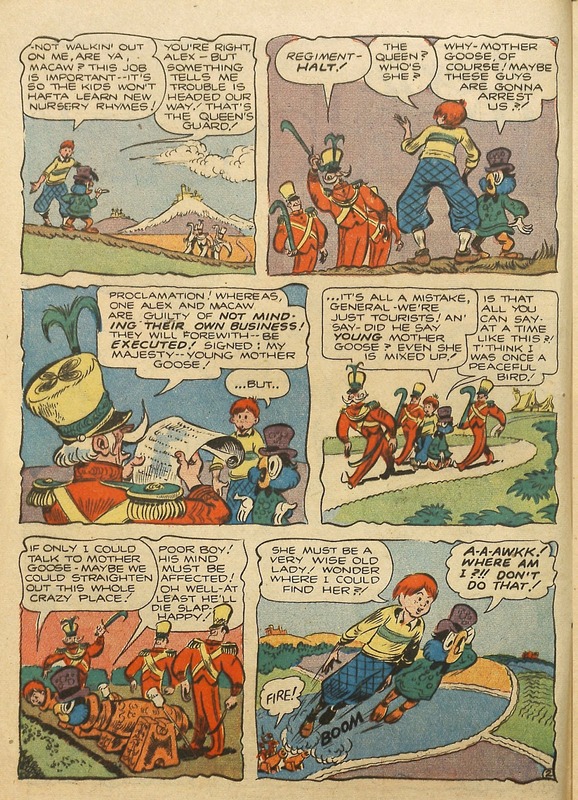 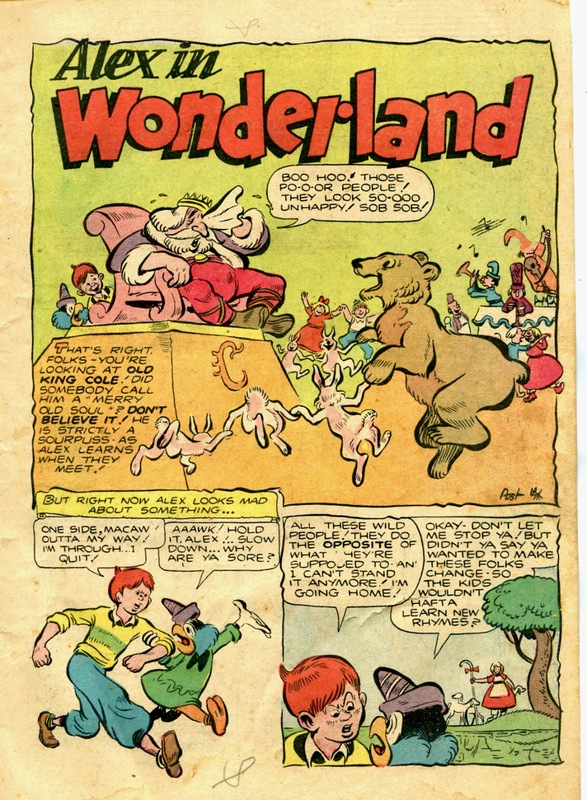 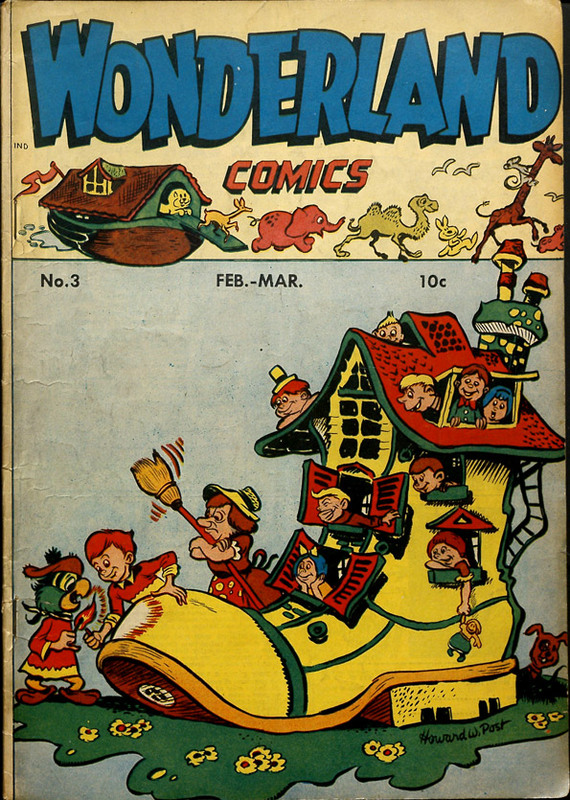 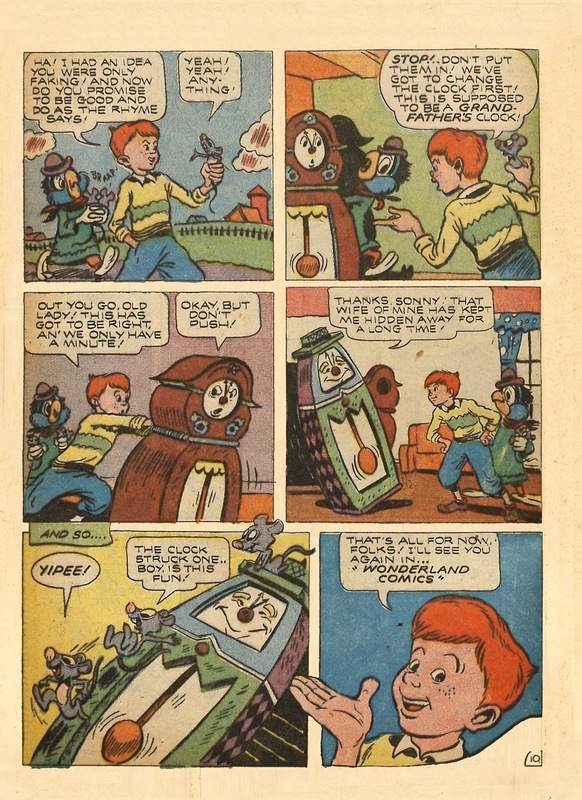 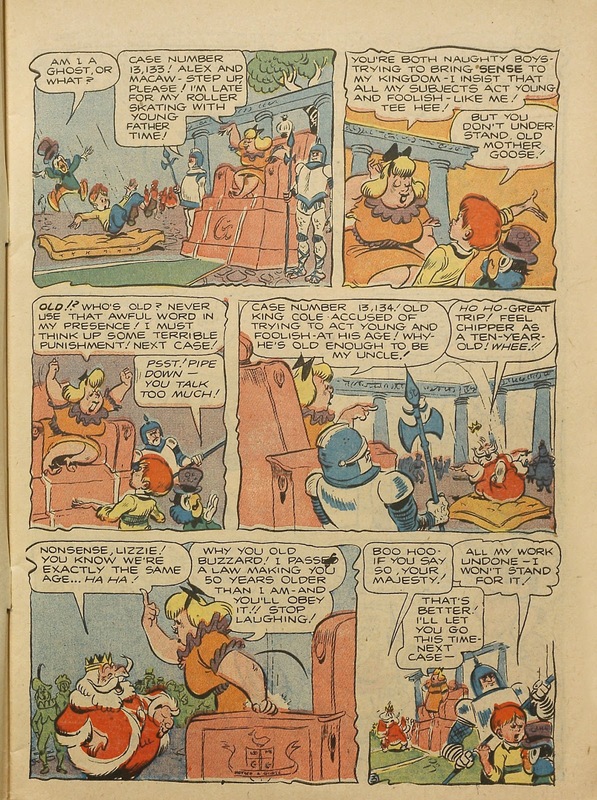 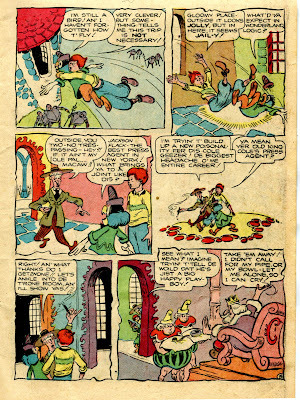 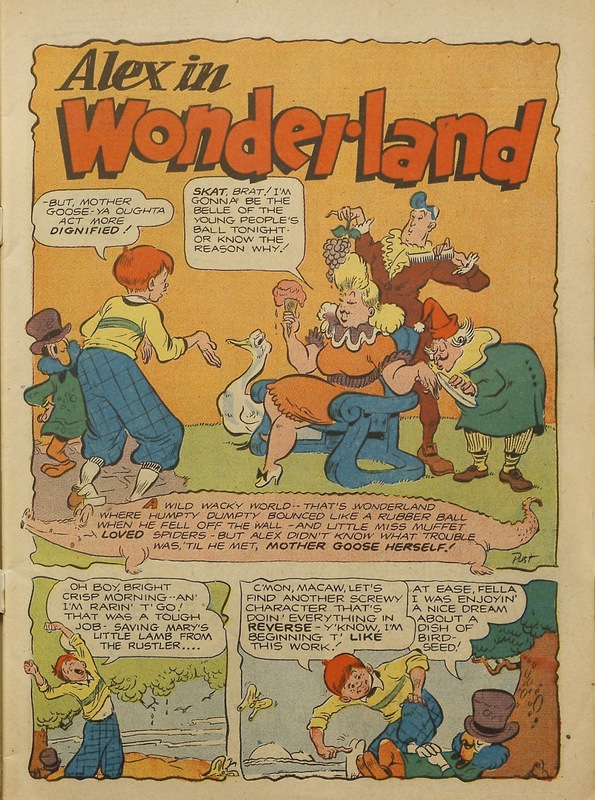 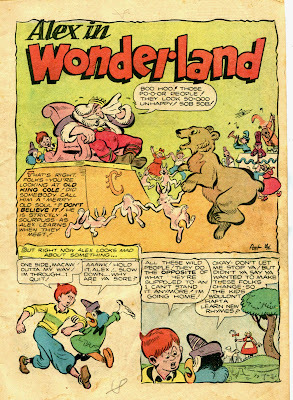 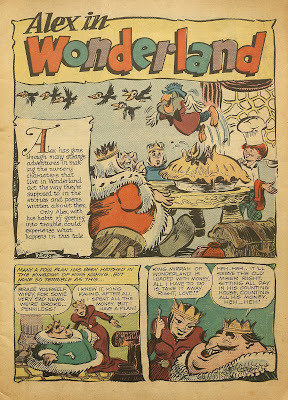 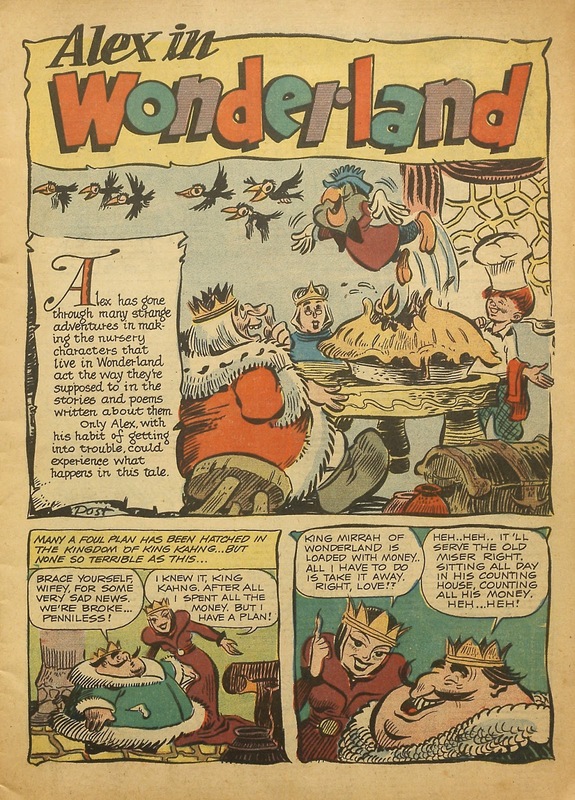 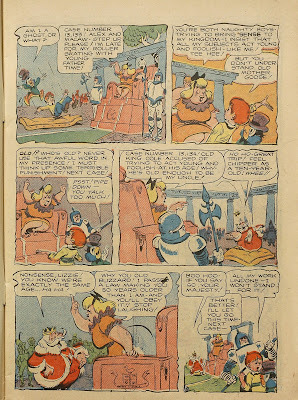 For the Wonderland series from Prize, he imitated Pogo's dady as best as he could, with his own series of fairy tale inspired adventures (which, as we can see from the first, may not have been written by himself). 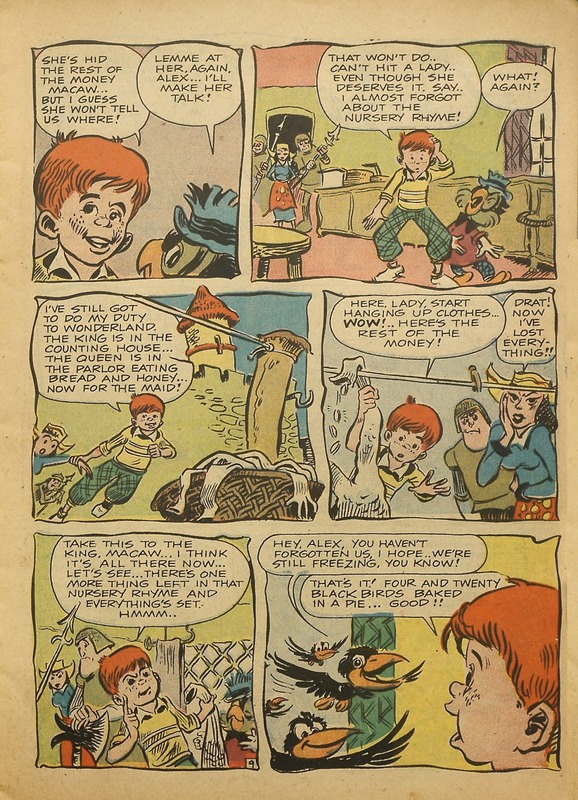 I have collected all of these stories here. The nice thing about it, is that you can see his style and selfassurance grow from issue to issue. 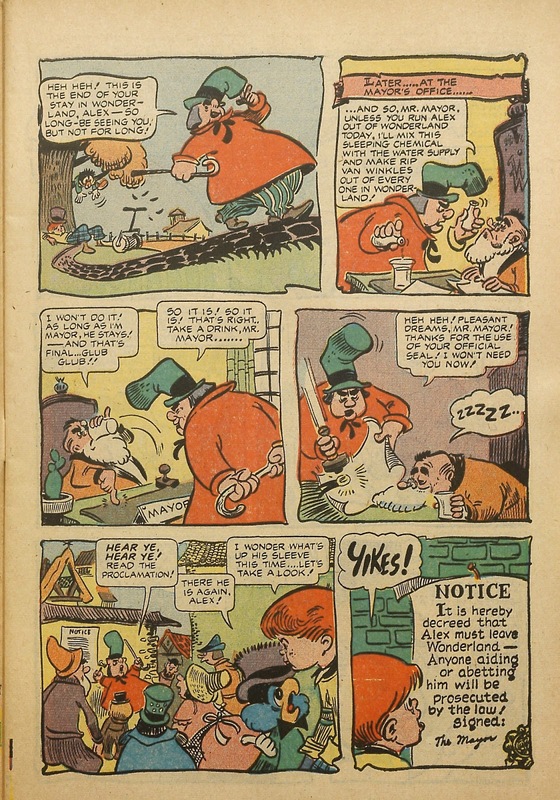 In the fifties he would do far less of this kind of work and Seeing his output here, I am not even sure where he spent most of his time. 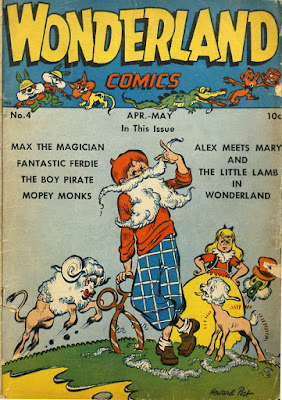 I do know he did some mad imitation work, some of which can be seen in my new book behaving Madly, which is out now and can be bought by using the link on the right. 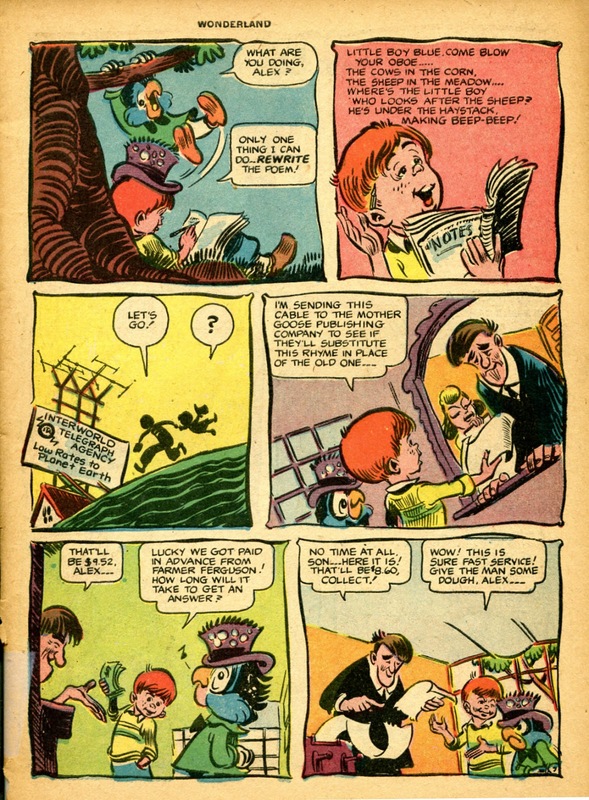 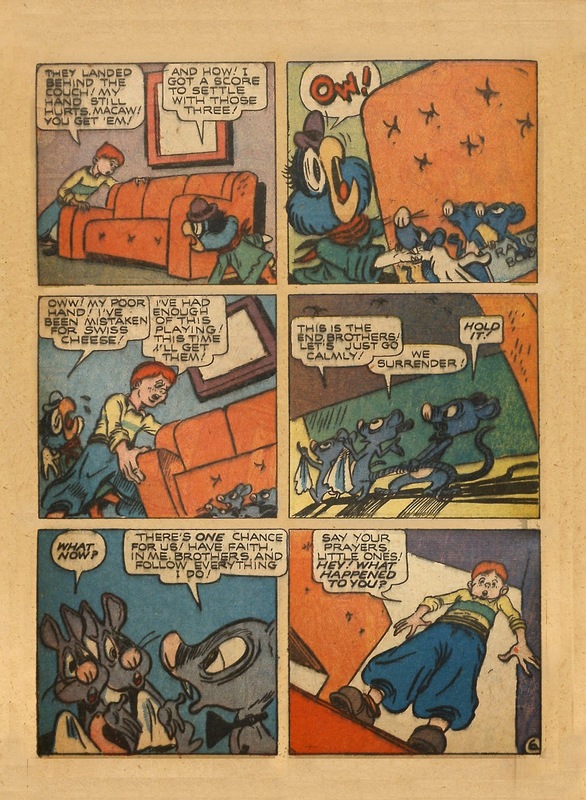 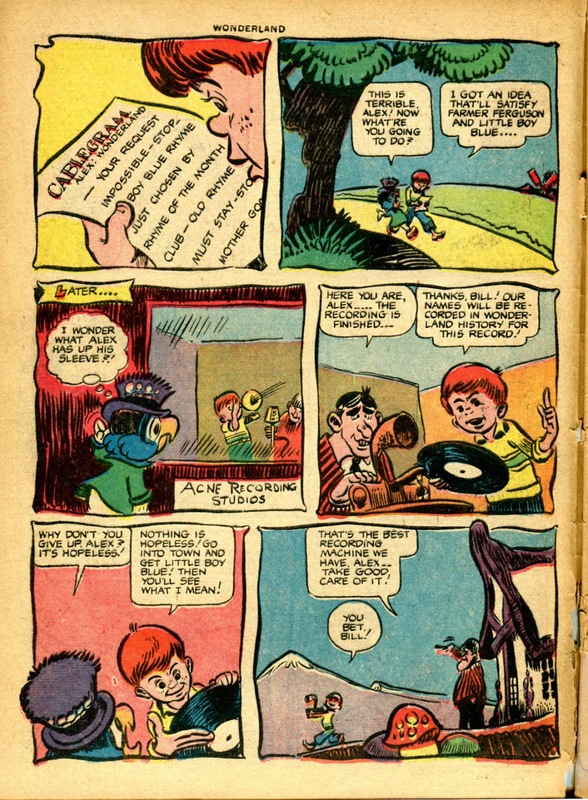 The same Howard Post who produced the Dropouts comic strip and drew during many years for Harvey Comics (Hot Stuff, Casper, Wendy, Spooky, Nightmare, Little Audrey)!